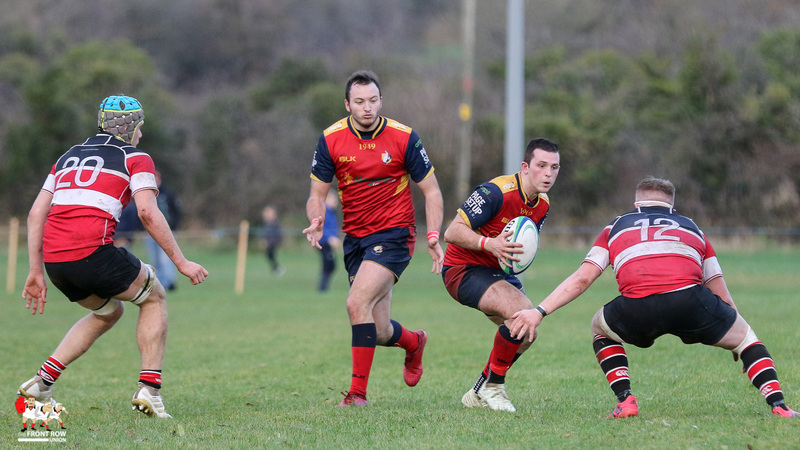 Try scorers Joel McBride and Simon Breen jostle for the ball in the Junior Cup quarter final at the Cloughan. 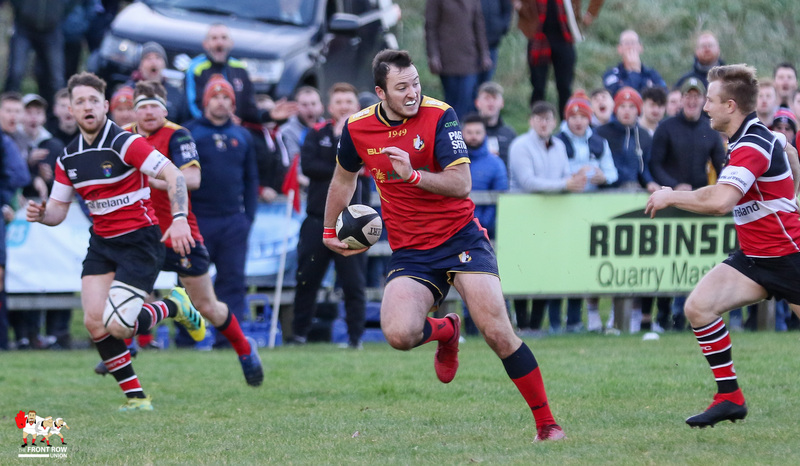 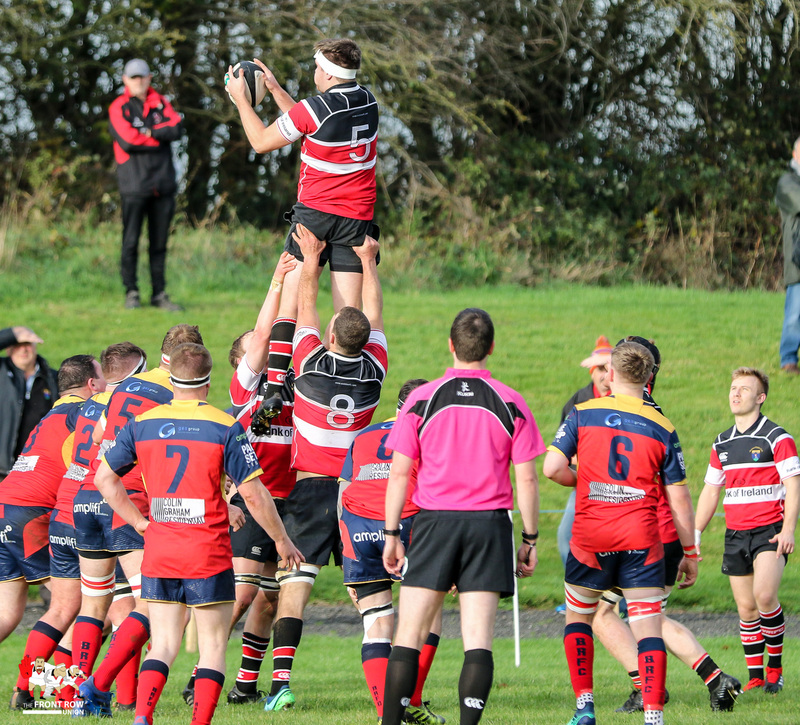 We had tipped this All Ireland Junior Cup quarter final as one of our games of the weekend and it didn’t disappoint. 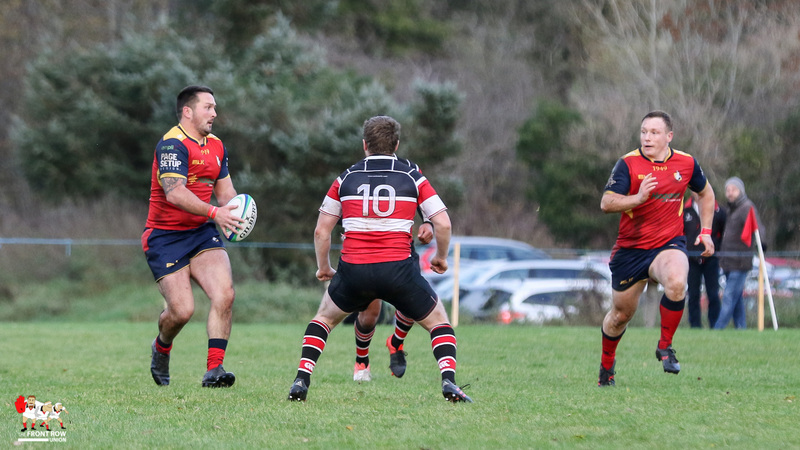 Unfortunately, the home side came up just short against a sharp Wicklow team. 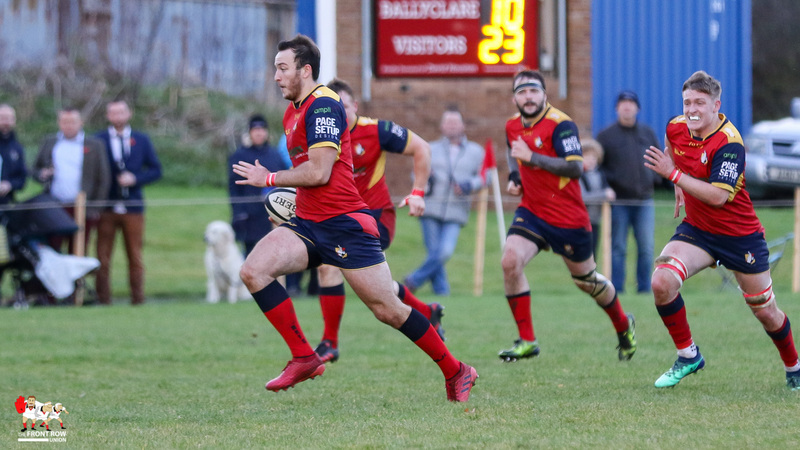 Ballyclare got off to the best of starts with Joel McBride jinking through the Wicklow defence to score under the posts. 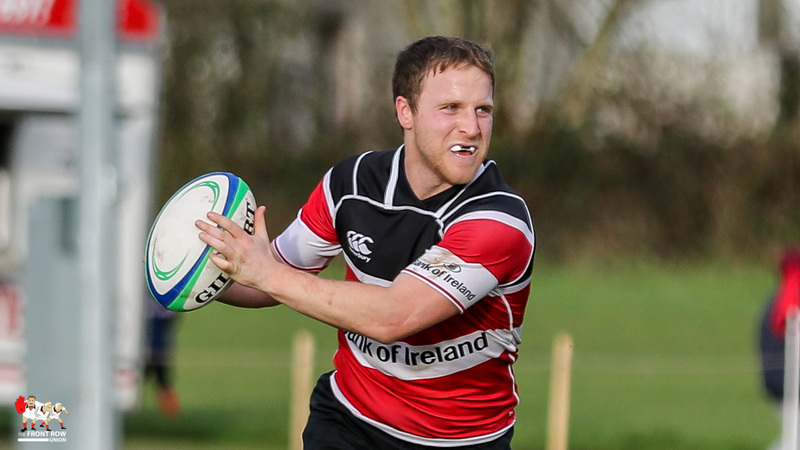 Robbie Reid converted to give the home side a 7 – 0 lead after 7 mins. 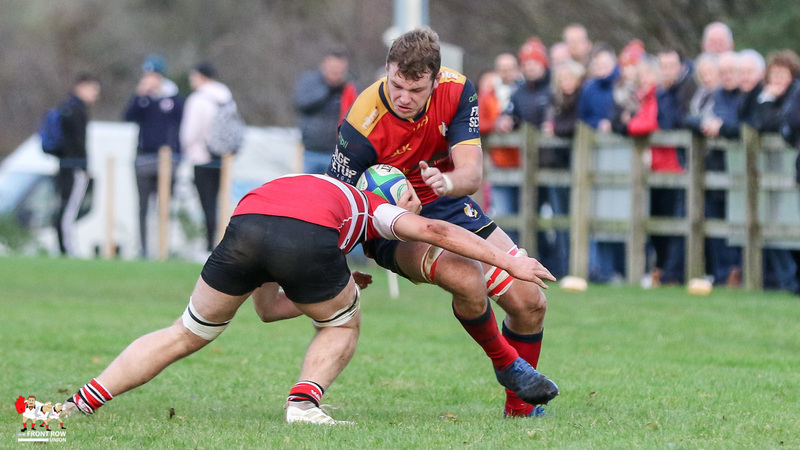 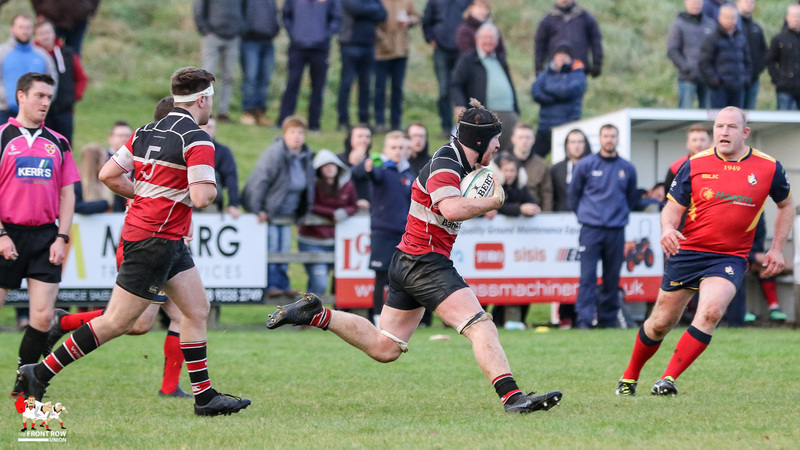 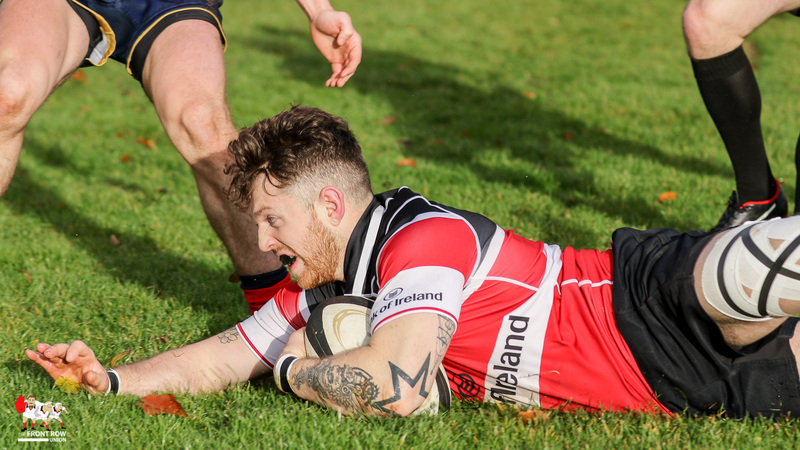 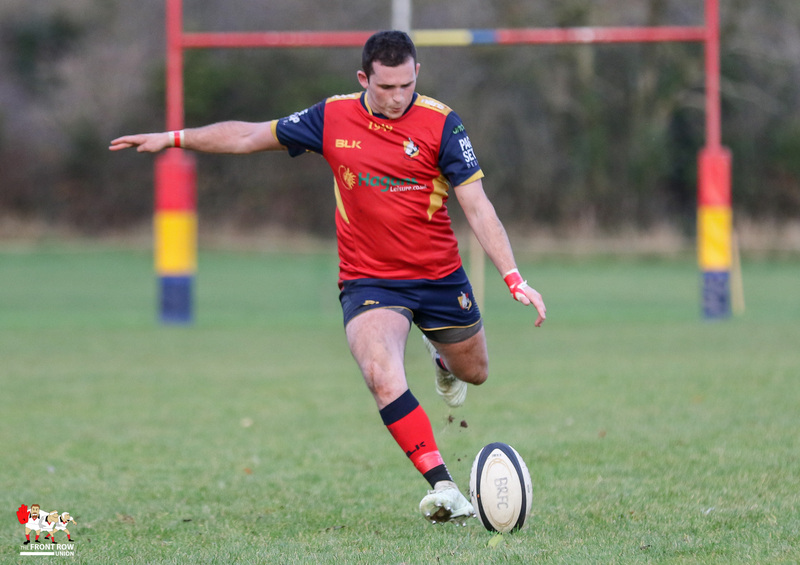 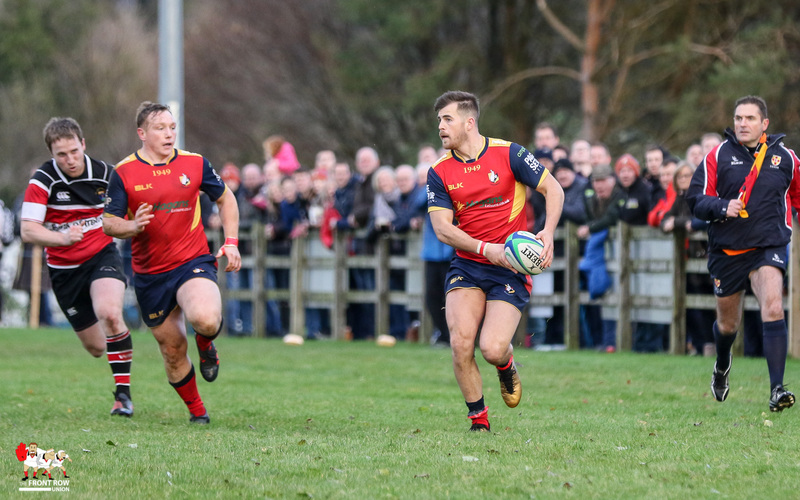 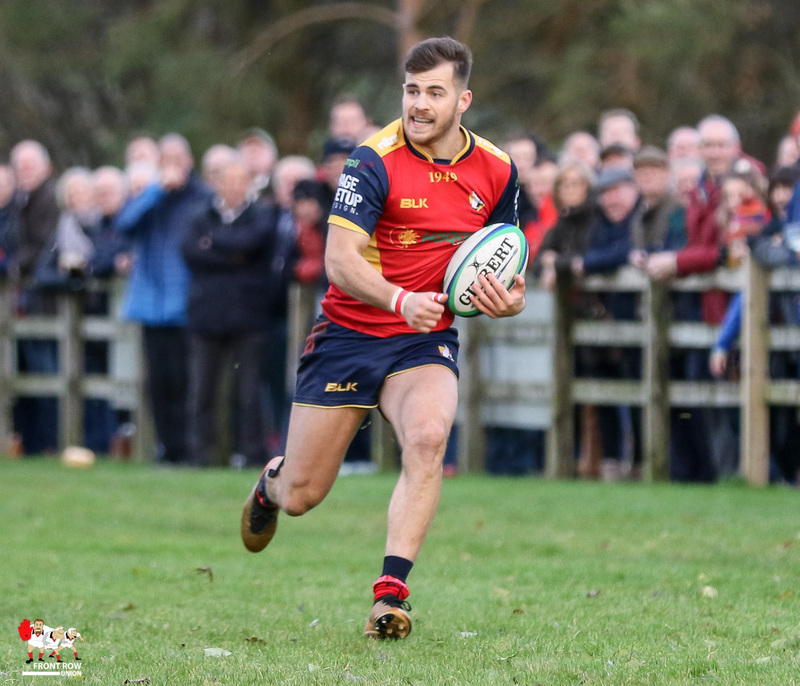 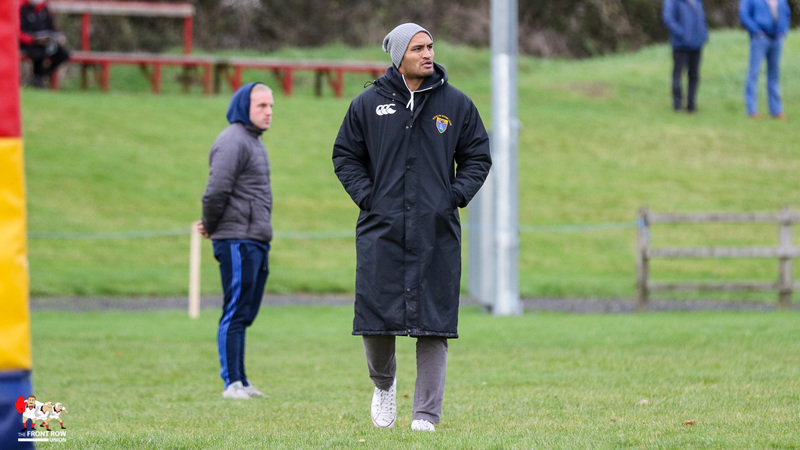 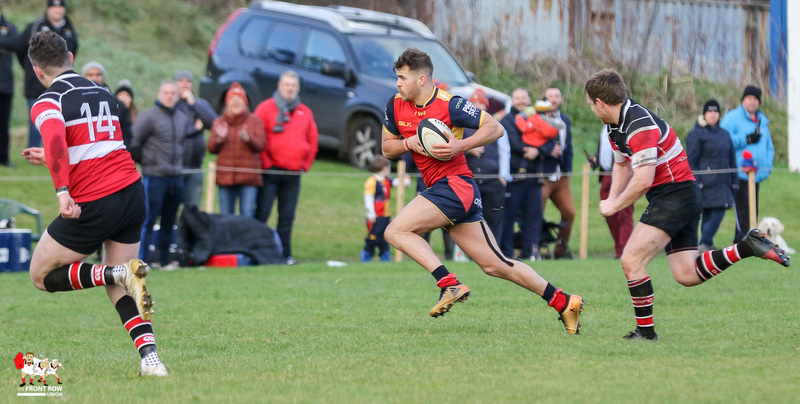 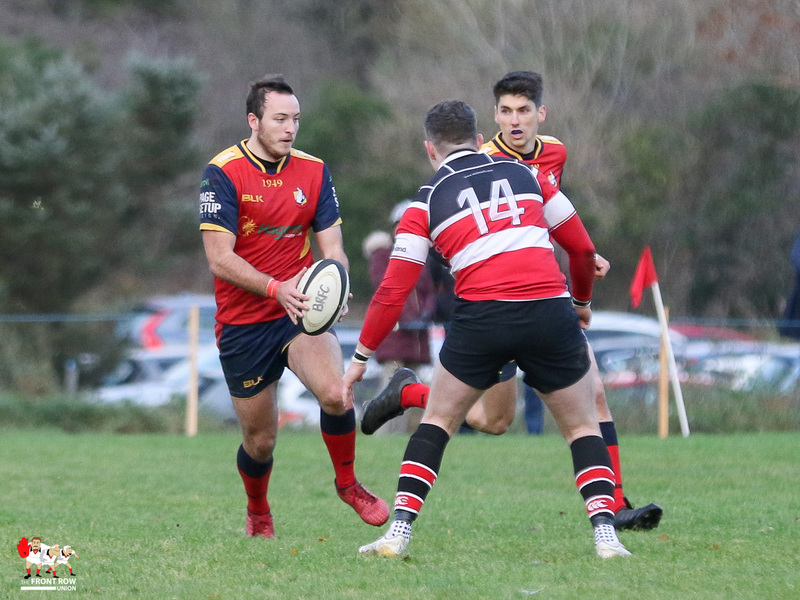 Unfortunately the try didn’t settle the Cloughan outfit, who looked nervy for most of the first half uncharacteristically snatching at passes and falling off tackles, and Wicklow took full advantage with a brace of tries from the industrious Simon Breen. 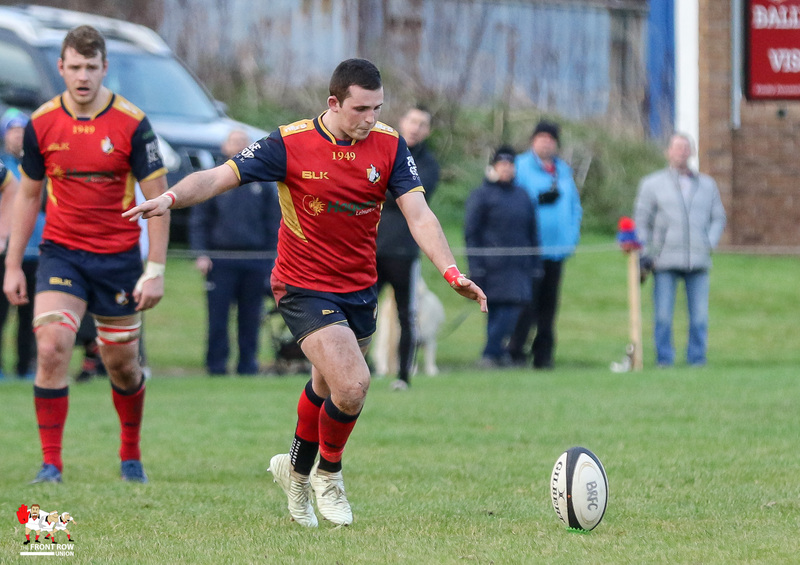 Niall Earls converted both, to add to an earlier penalty, to take the score to 7 – 17. 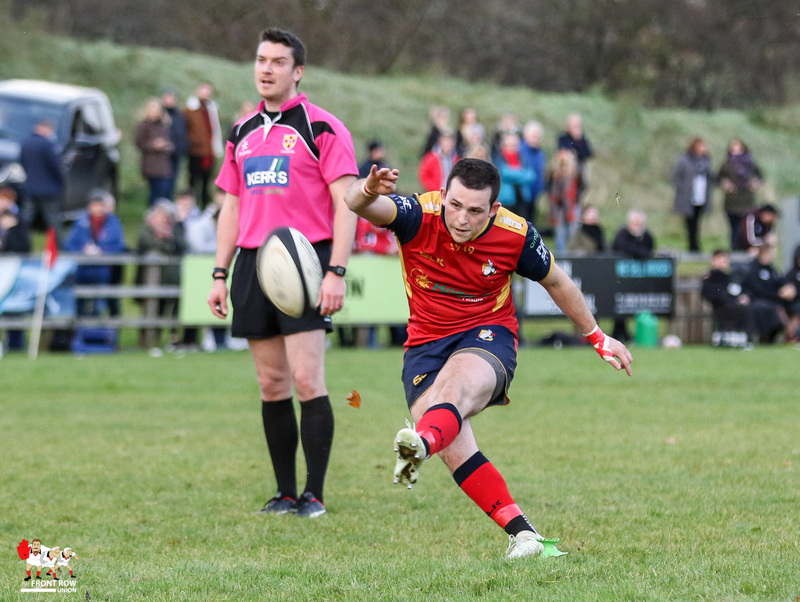 The teams swapped penalties as half time approached to take the score to 10 – 20 at the break. 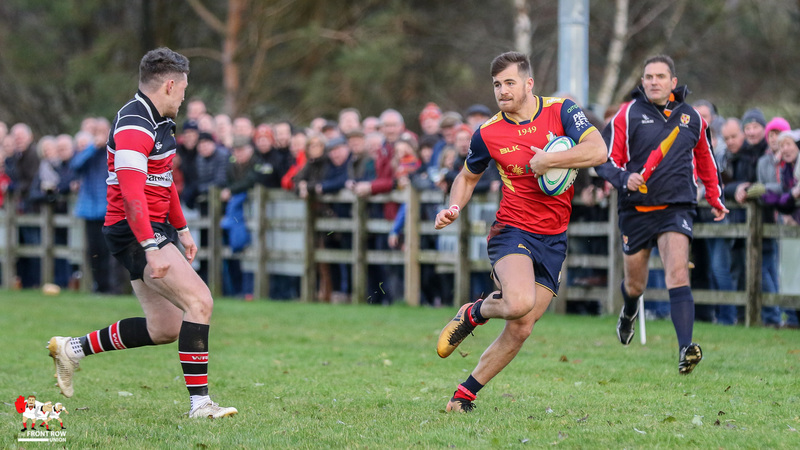 Despite Wicklow landing an early penalty at the start of the second half, Ballyclare looked more composed and a break by McBride ended with Dean Jones going over close to the posts. 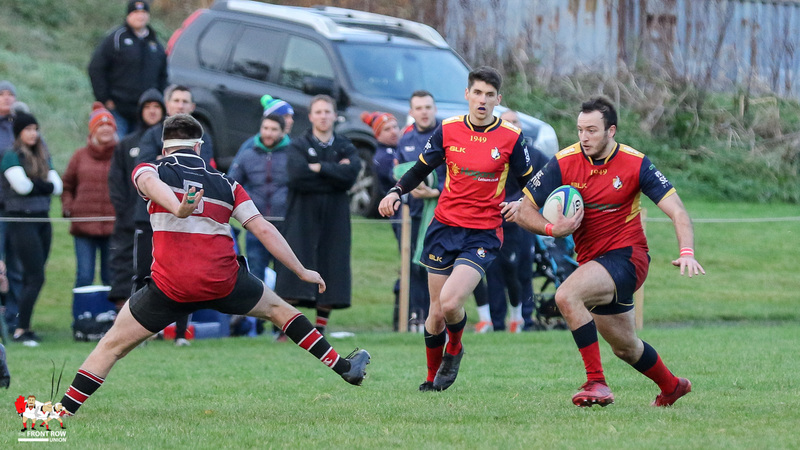 Reid converted to take the score to 17 – 23. 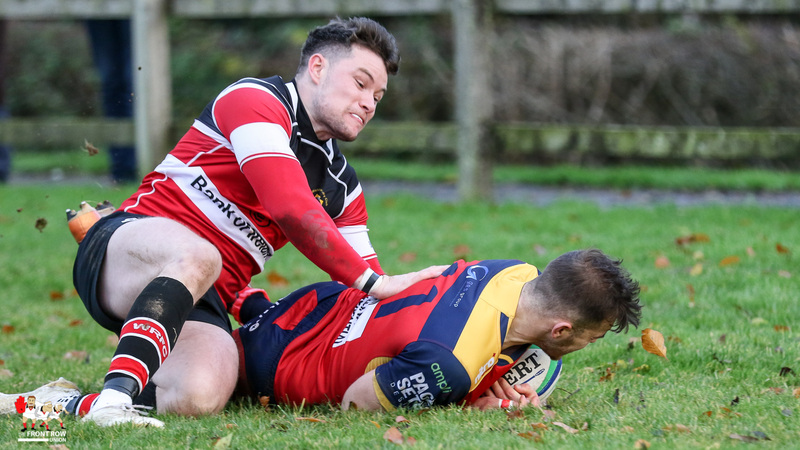 Ballyclare piled on the pressure for the next ten minutes but had to settle for a penalty as the Wicklow defence held firm. 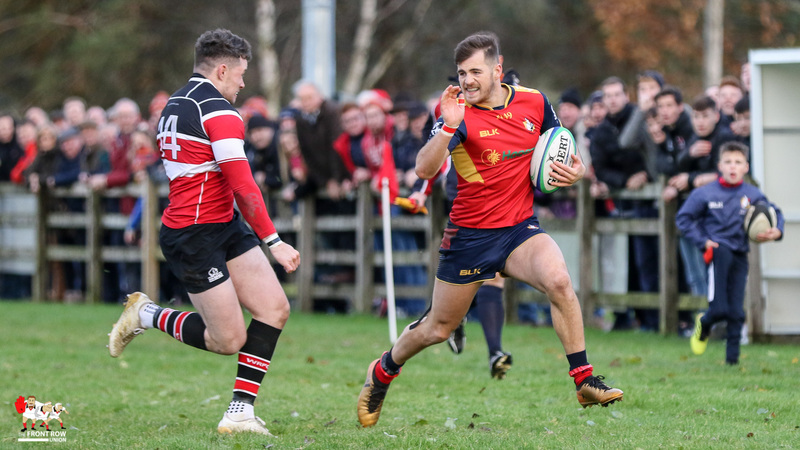 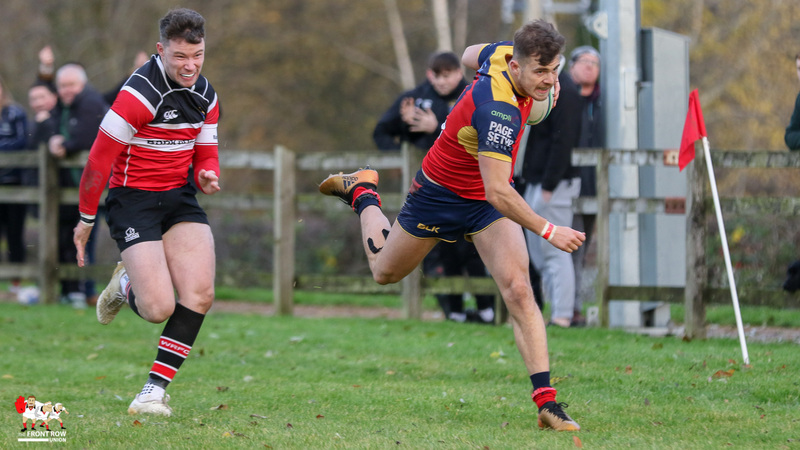 With the score at 20 – 23 it was anyone’s game as the match went into the last ten minutes, and the momentum seemed to be with the home team. 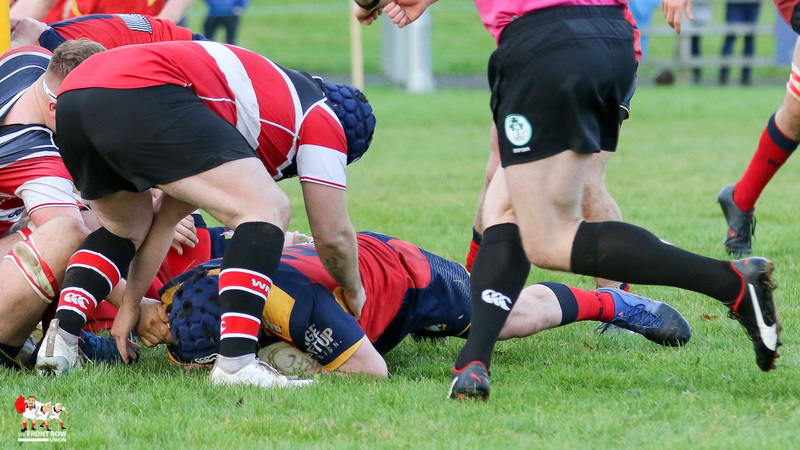 However, Wicklow were far from finished and a break from the visitors ended with Ben Porter crossing out wide to seal the game. 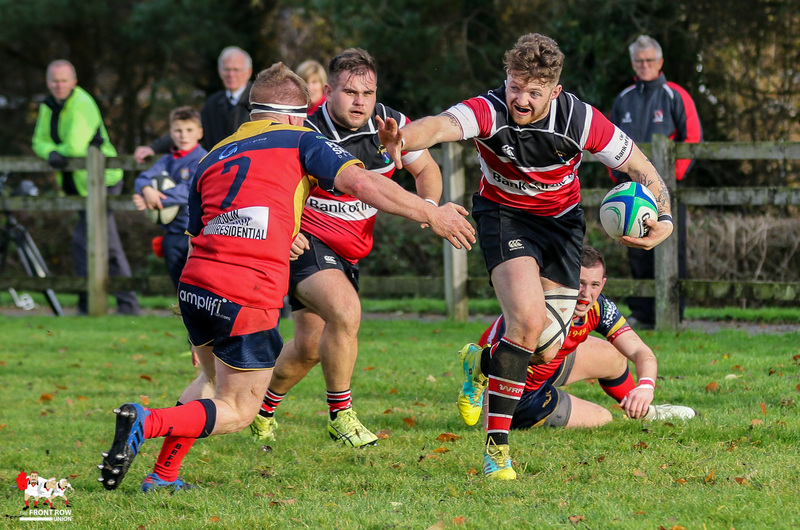 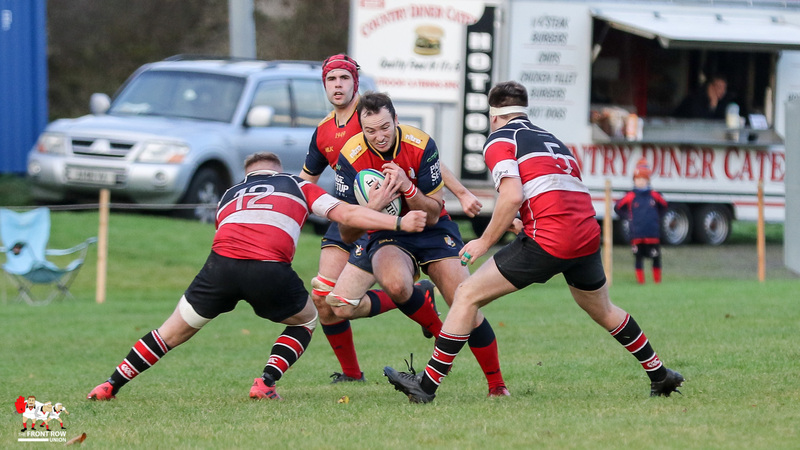 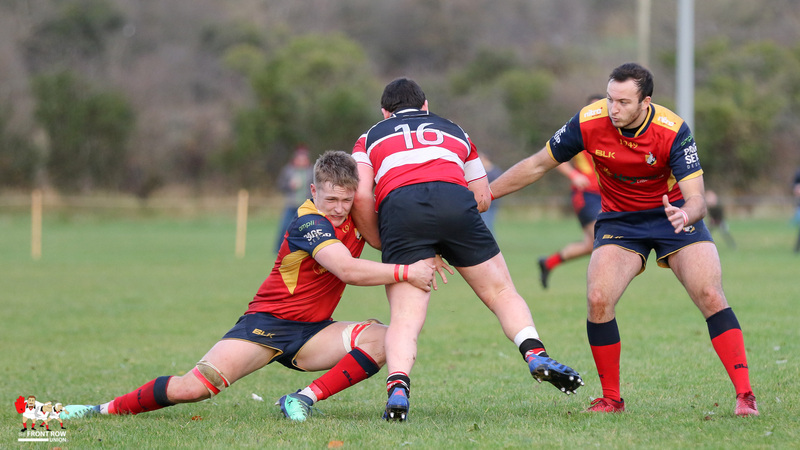 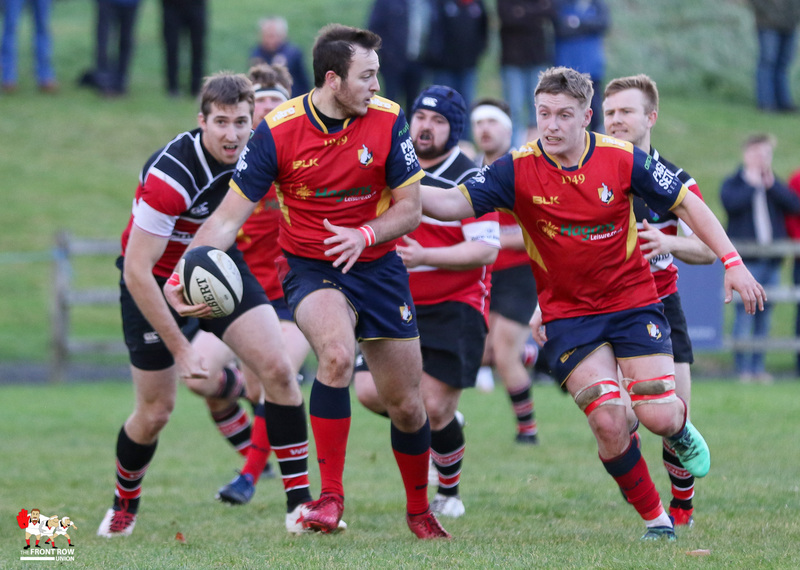 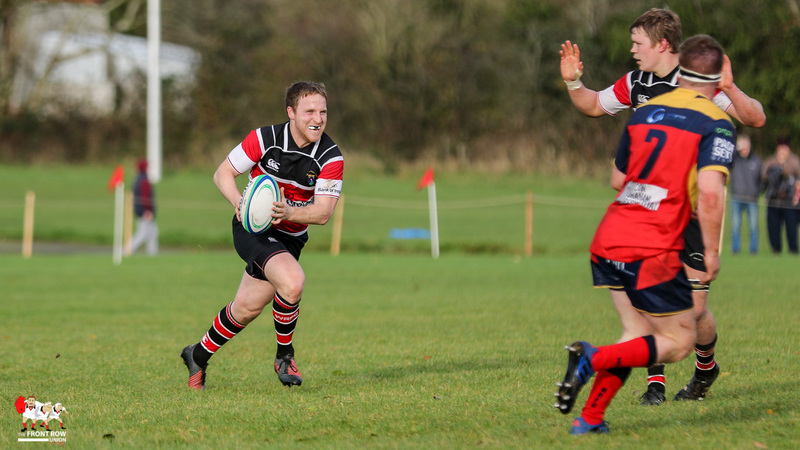 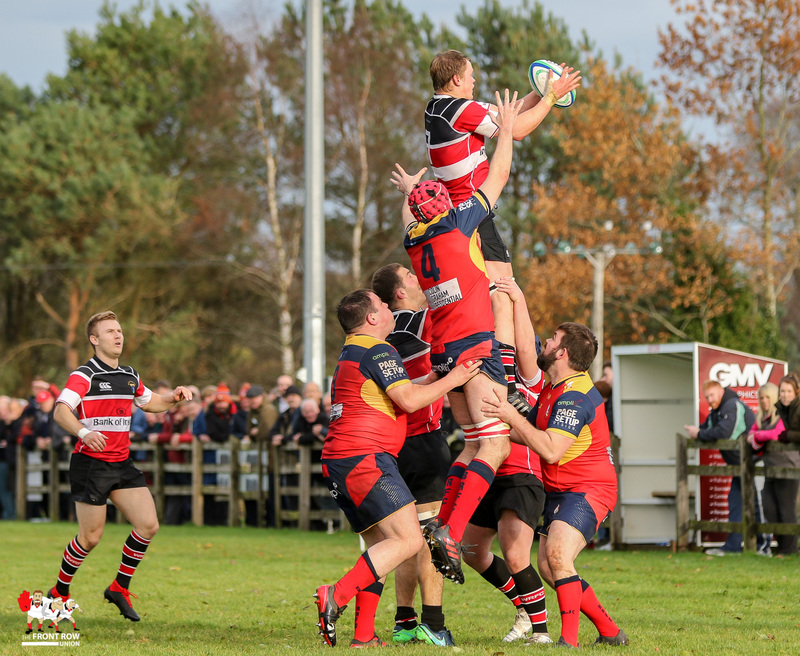 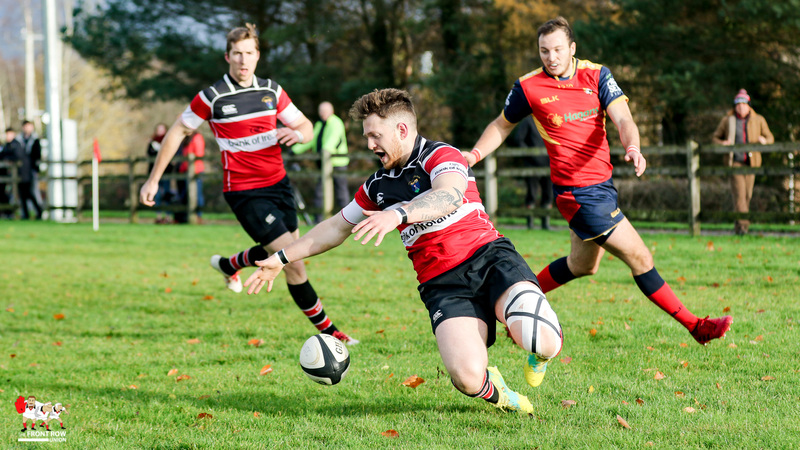 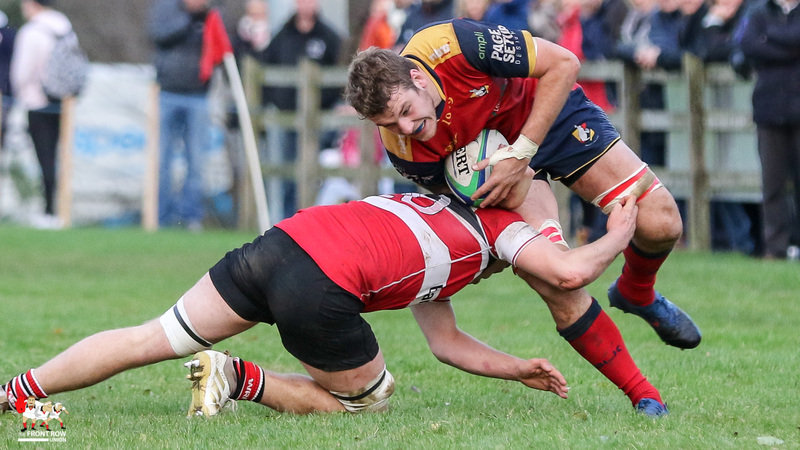 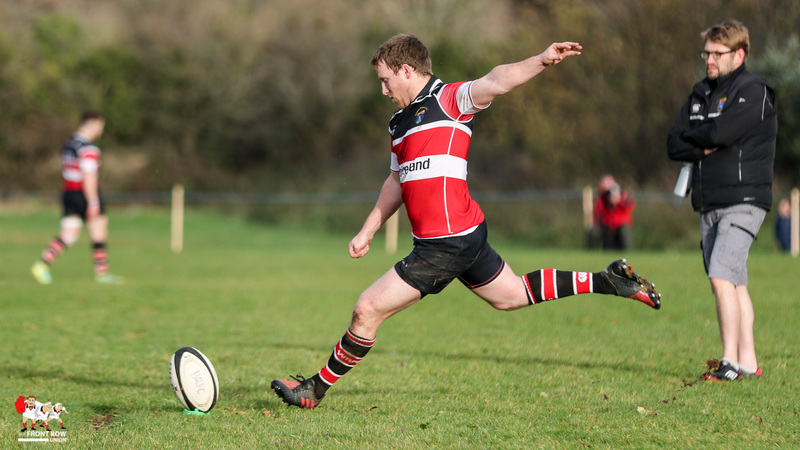 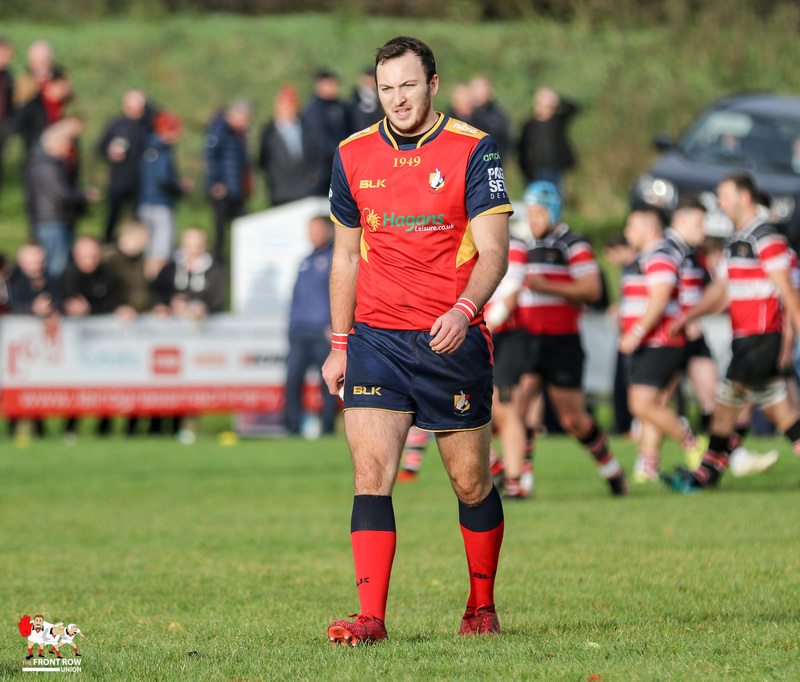 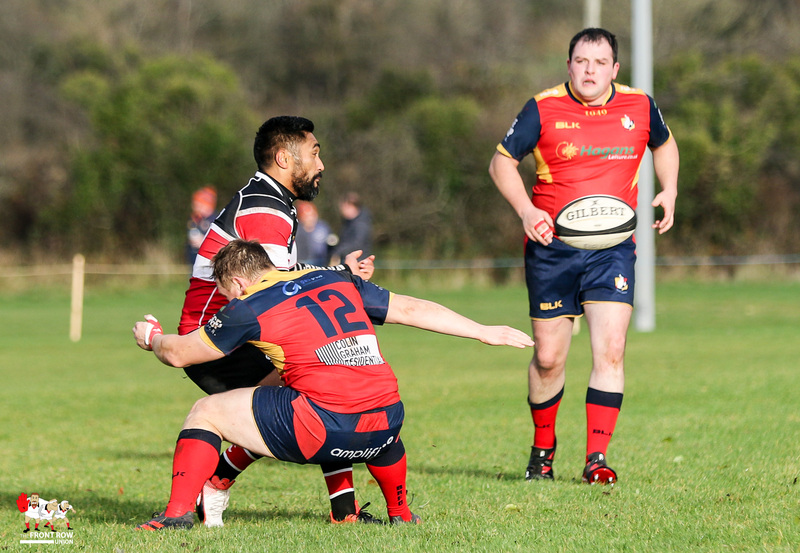 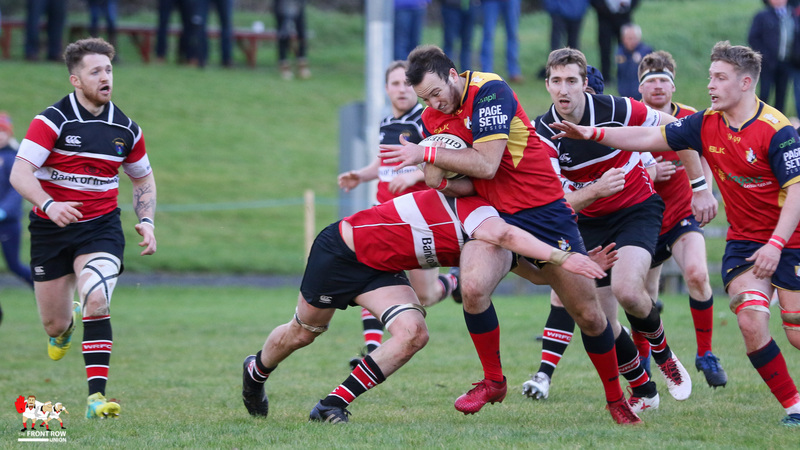 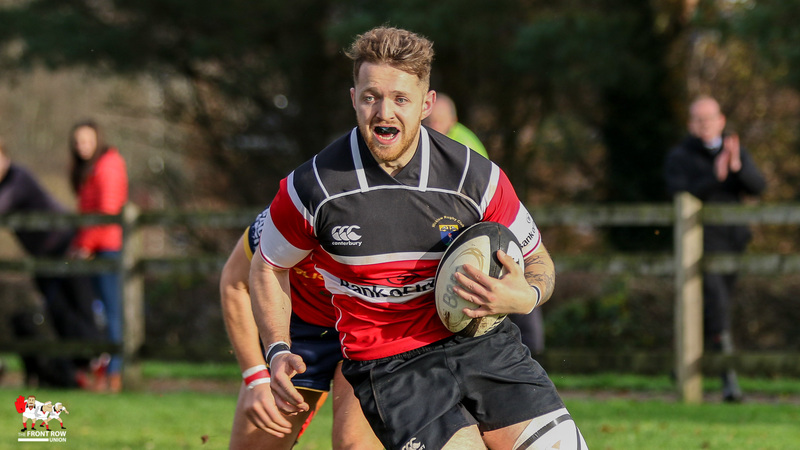 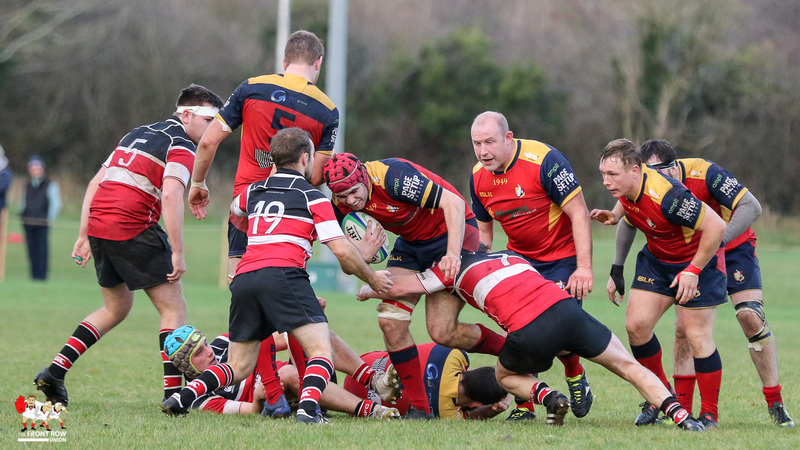 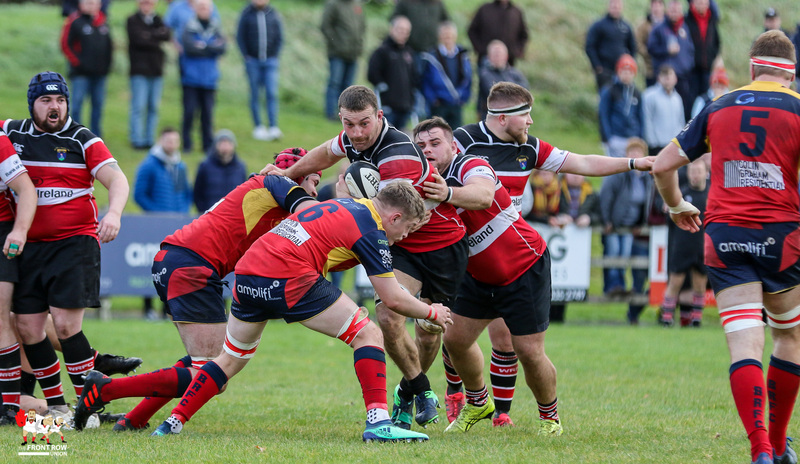 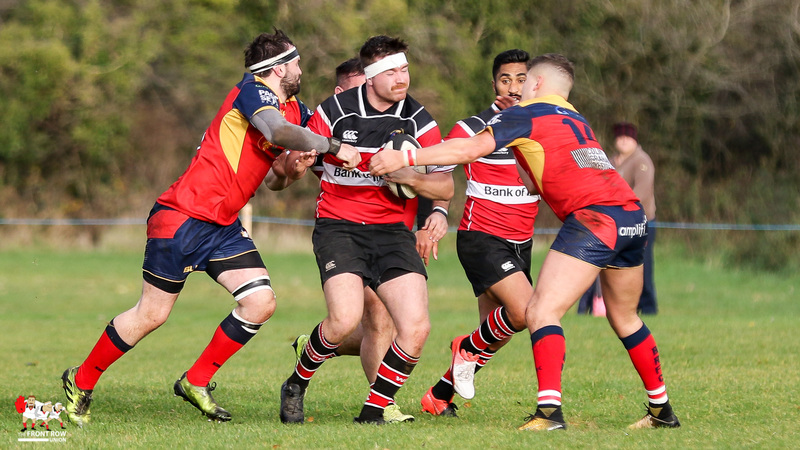 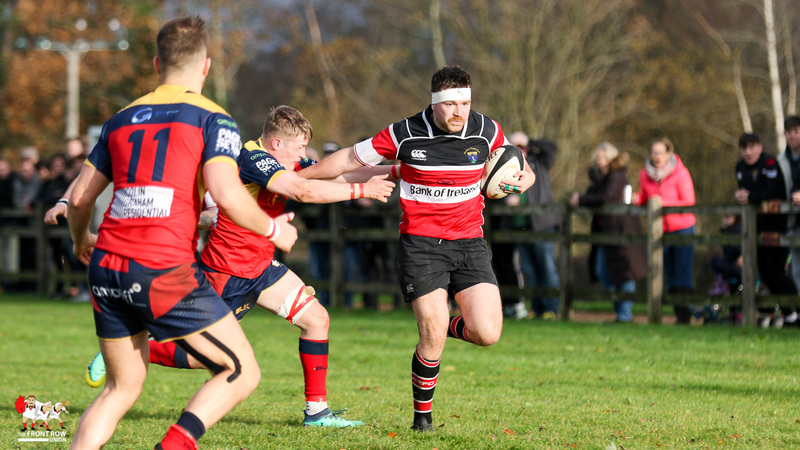 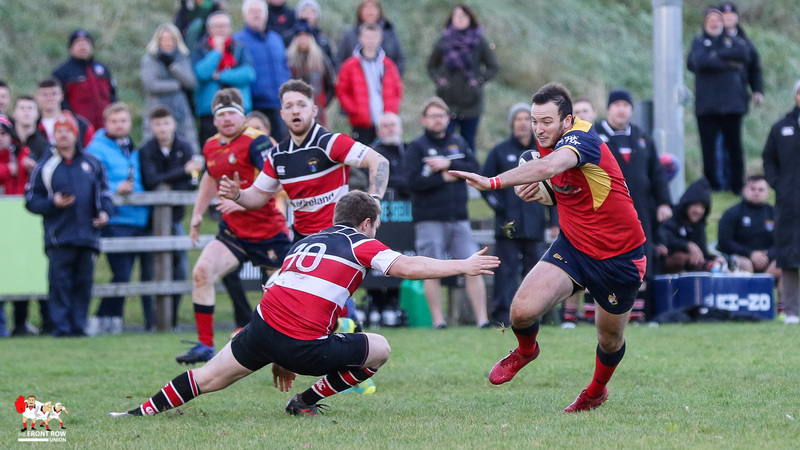 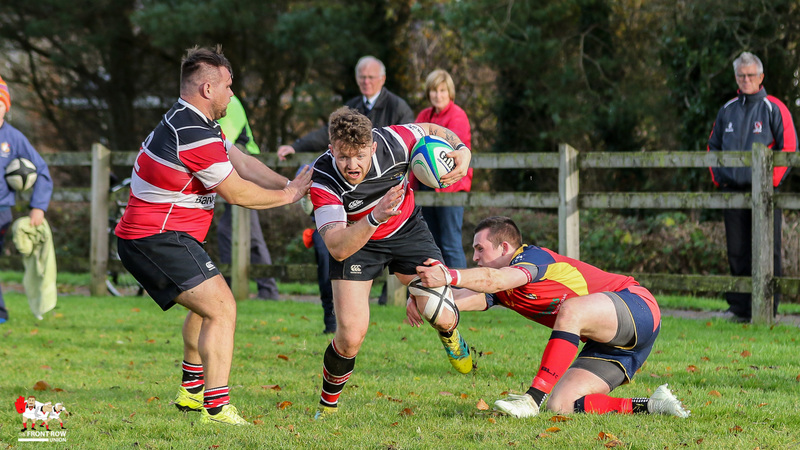 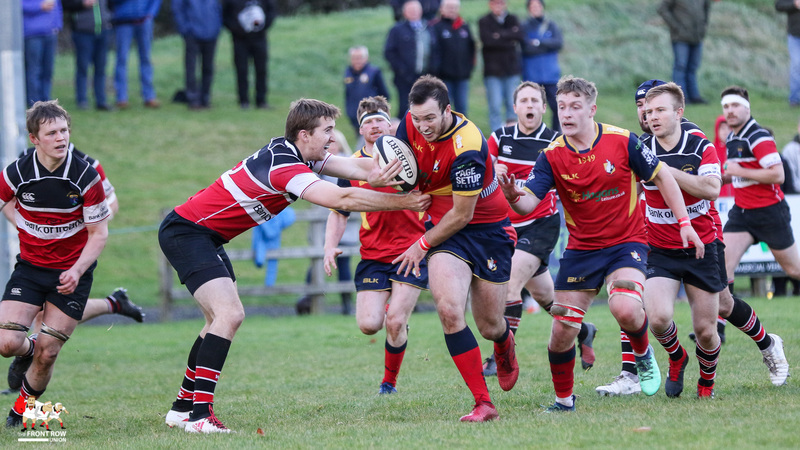 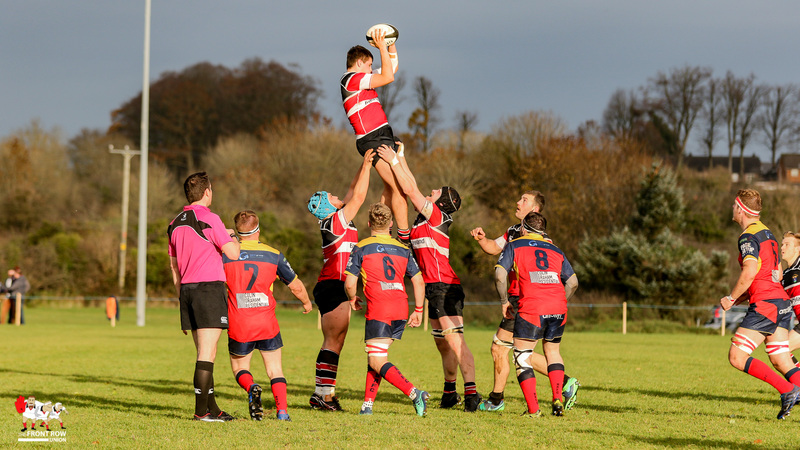 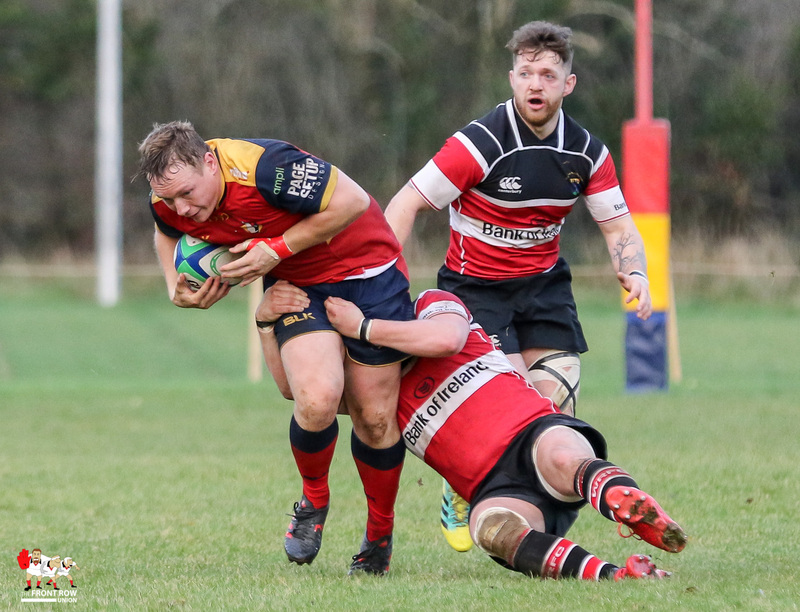 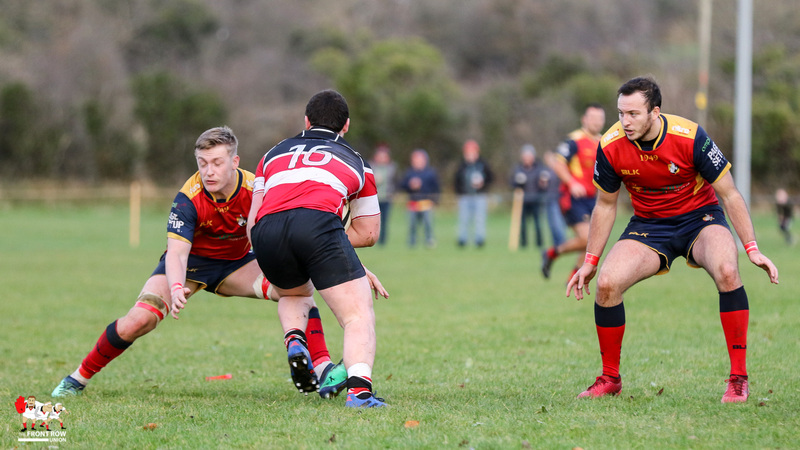 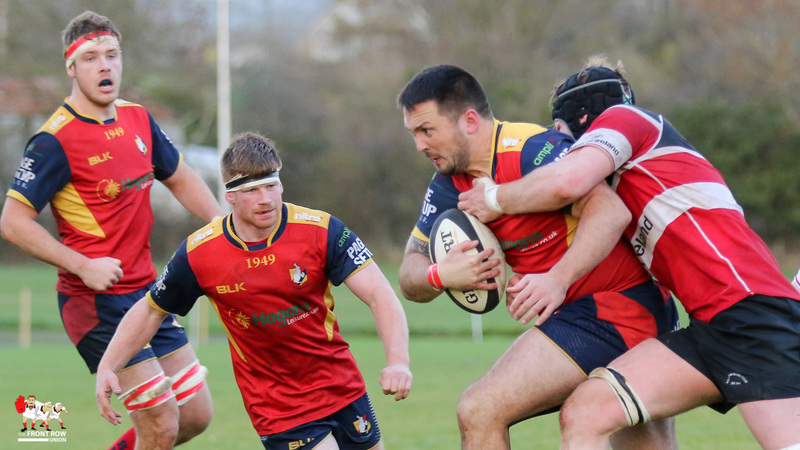 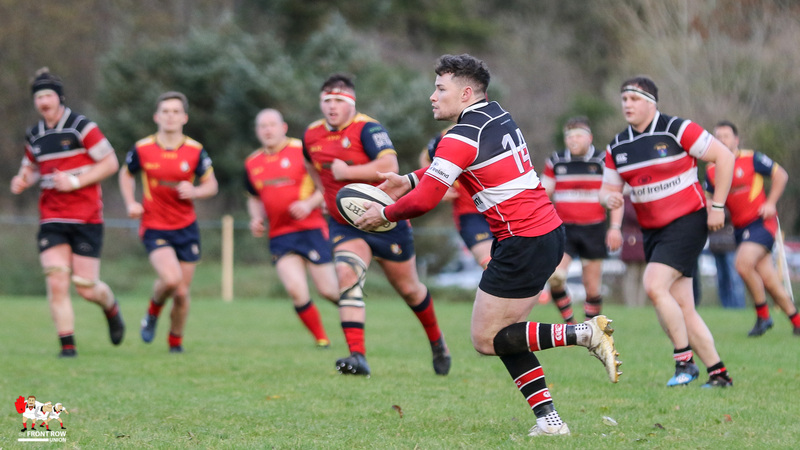 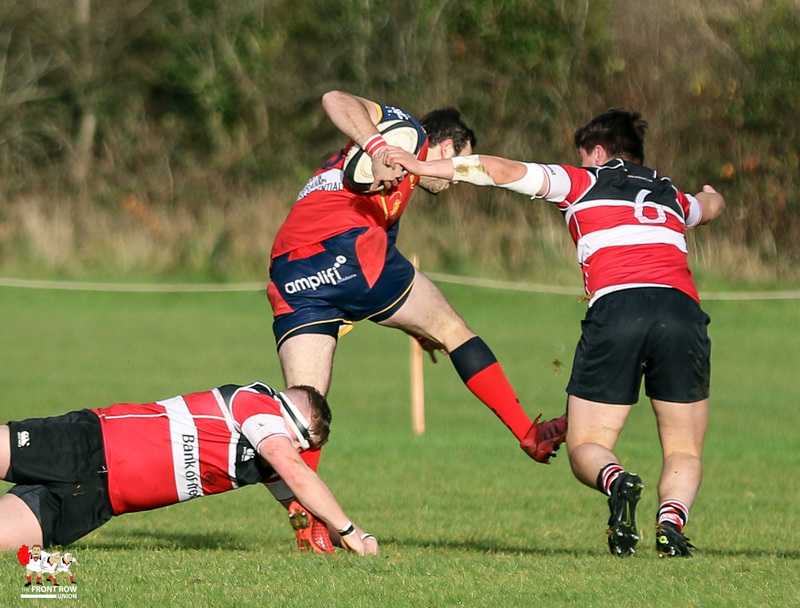 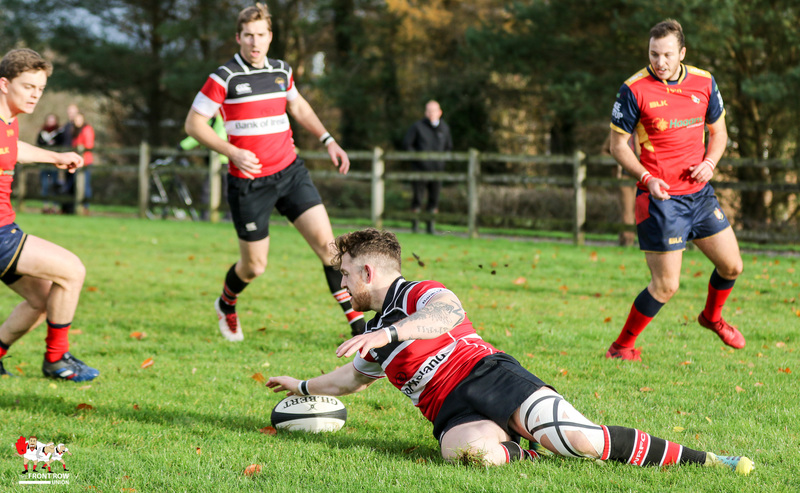 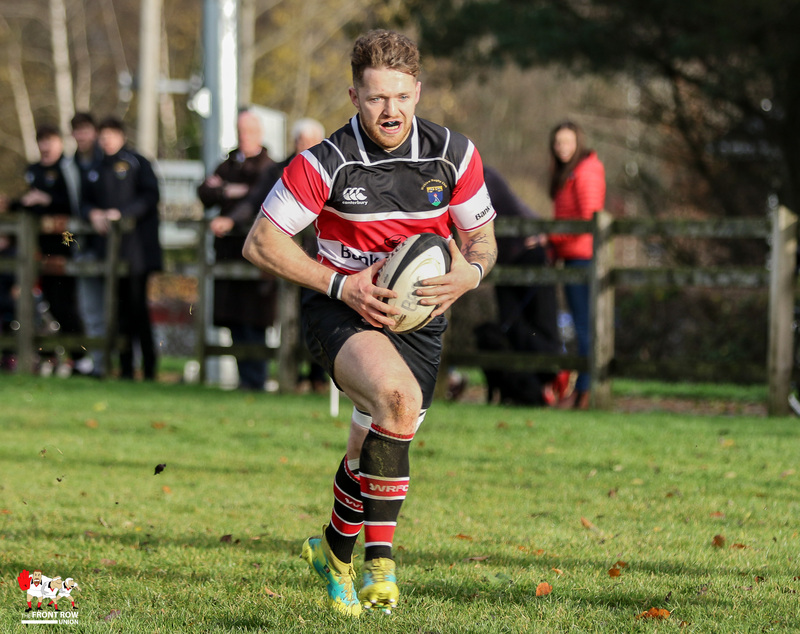 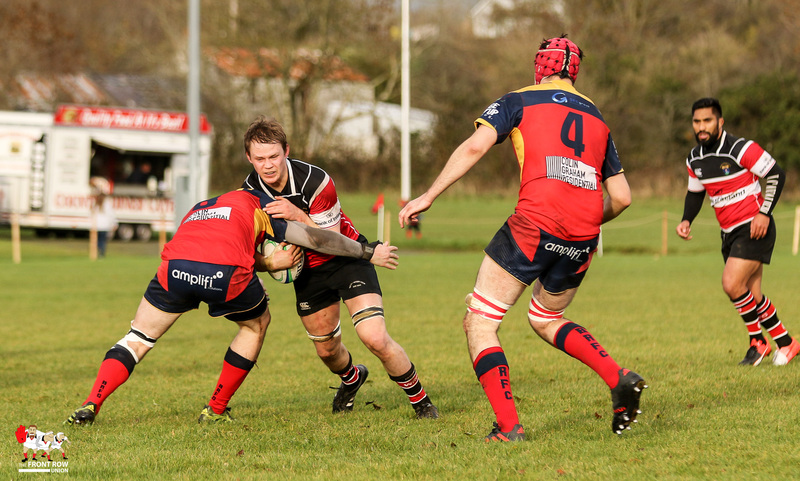 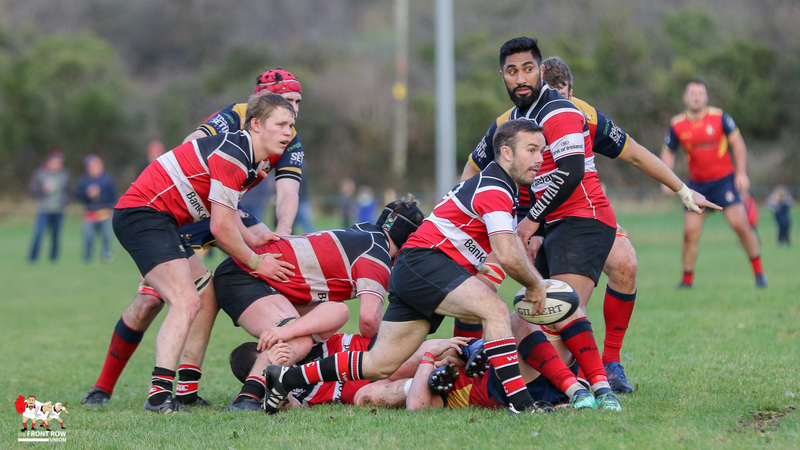 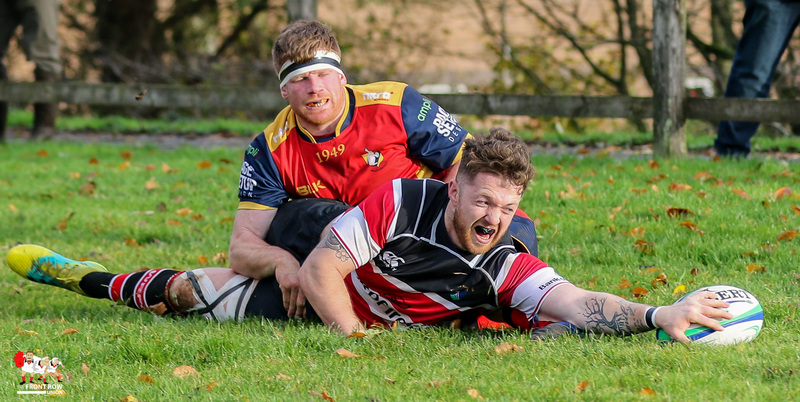 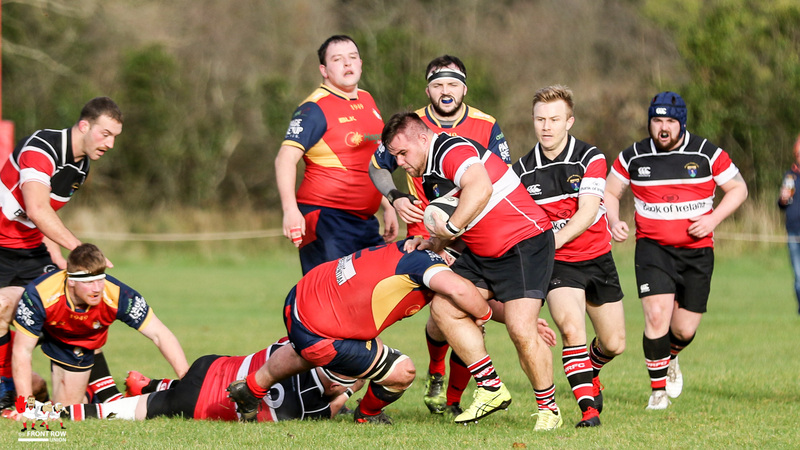 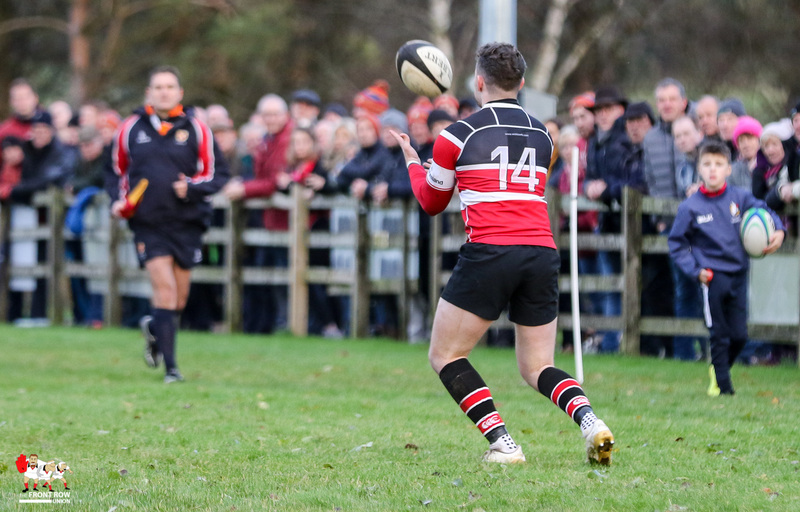 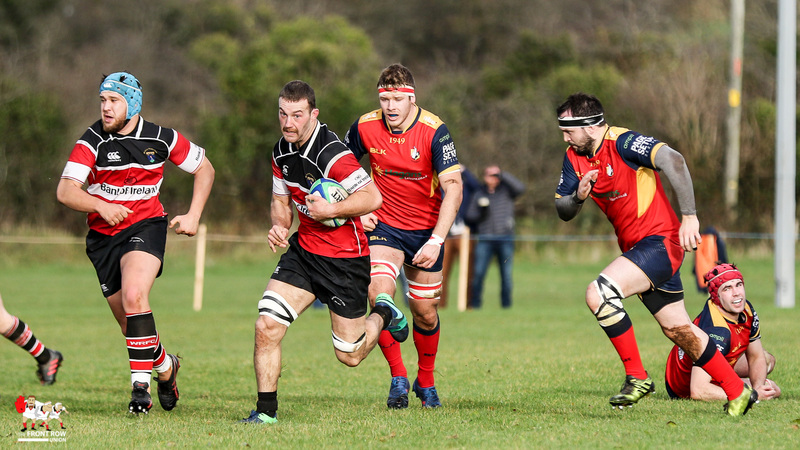 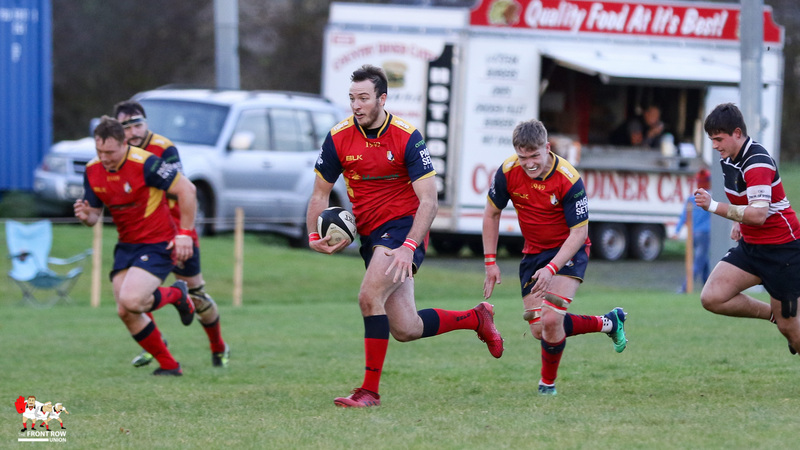 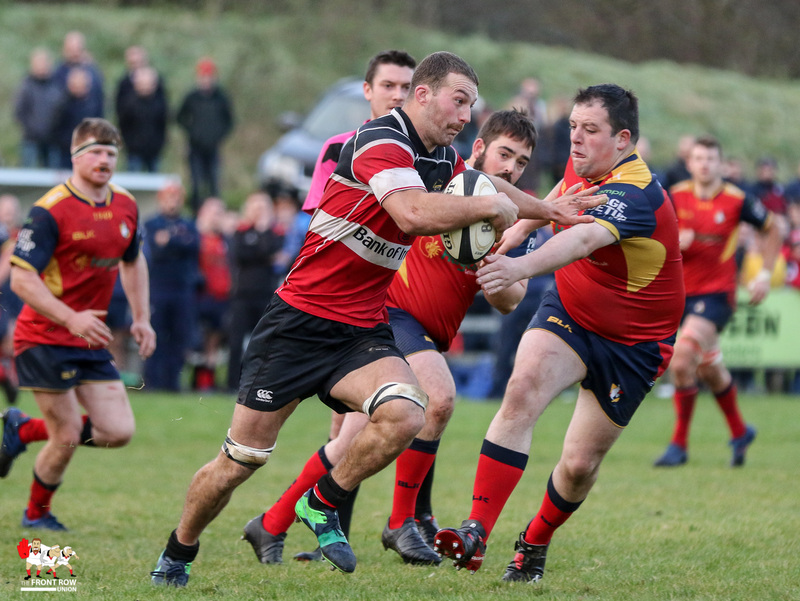 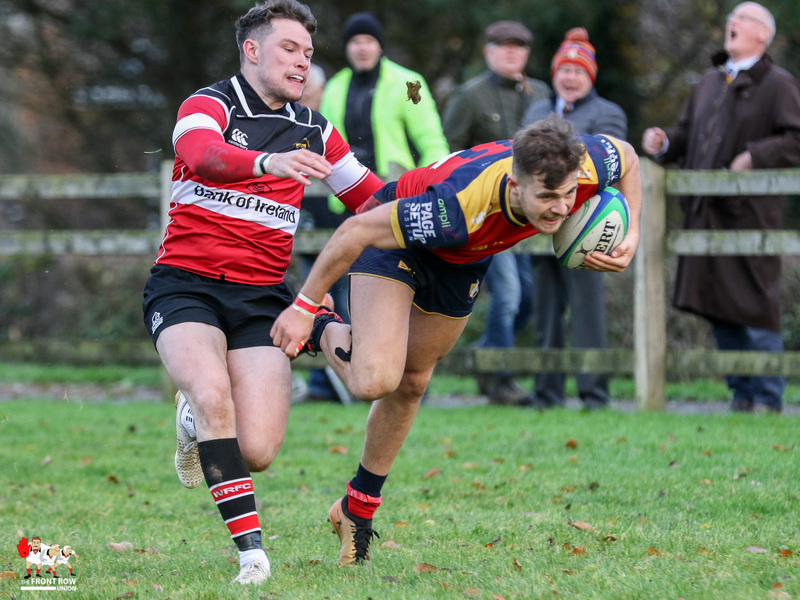 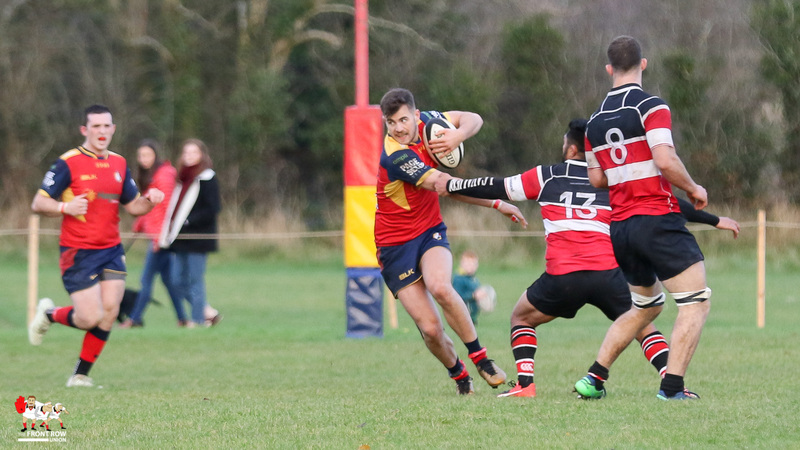 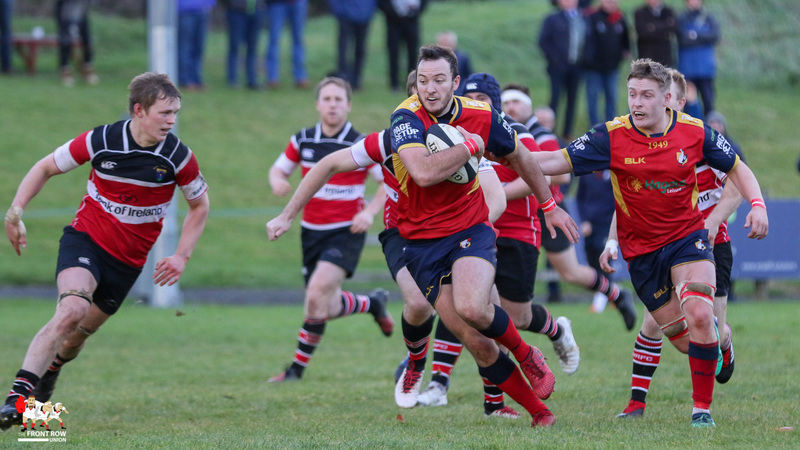 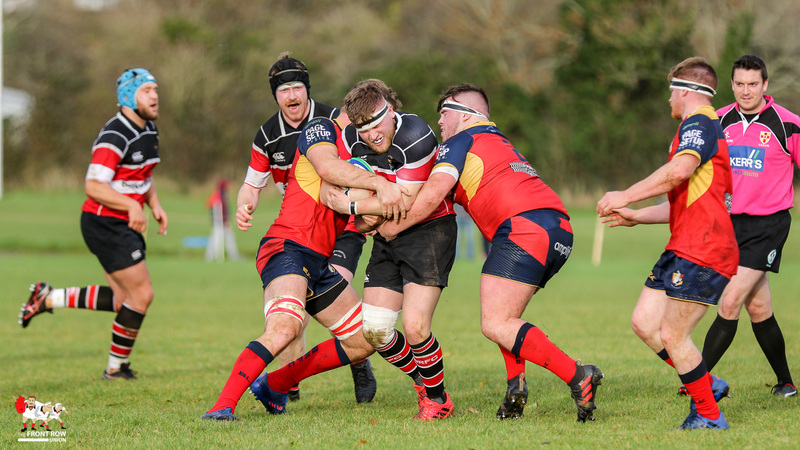 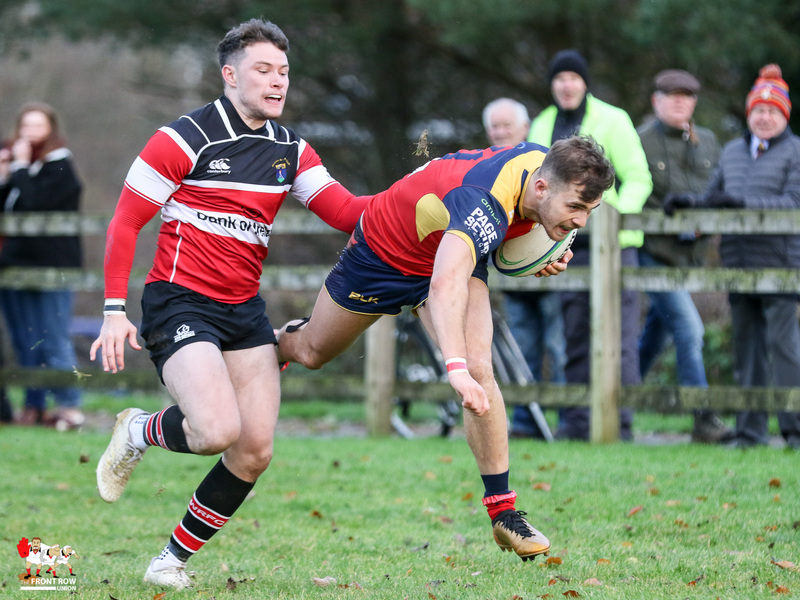 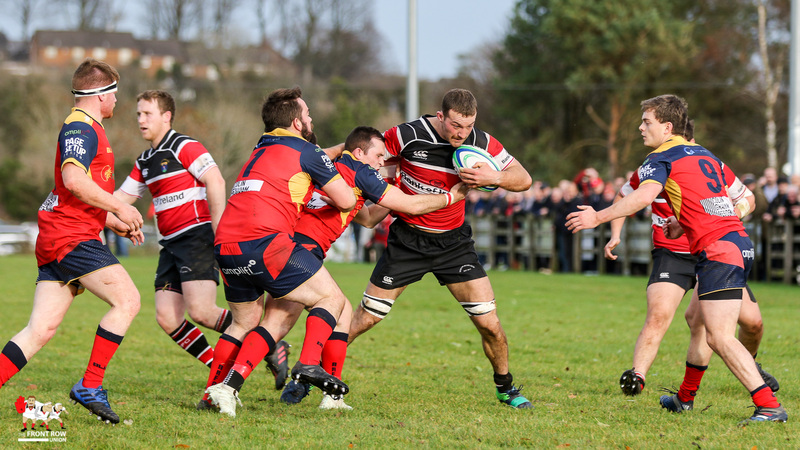 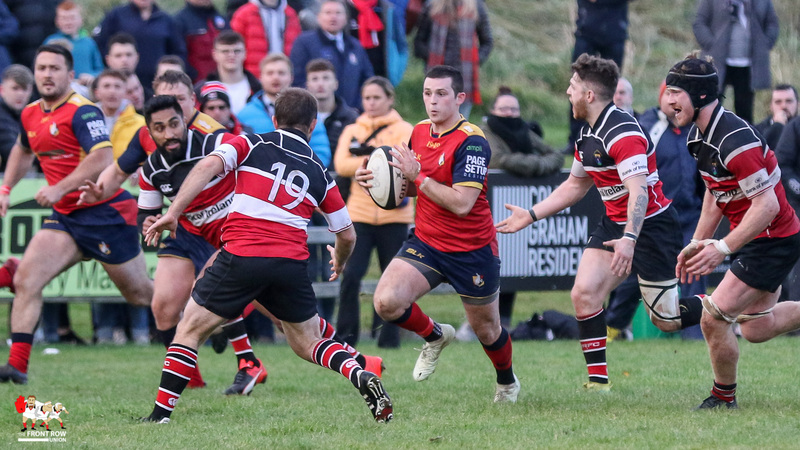 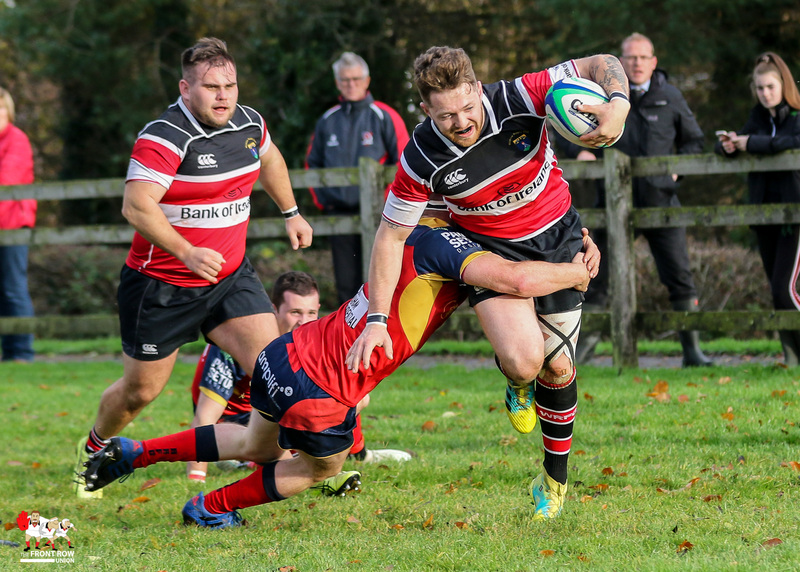 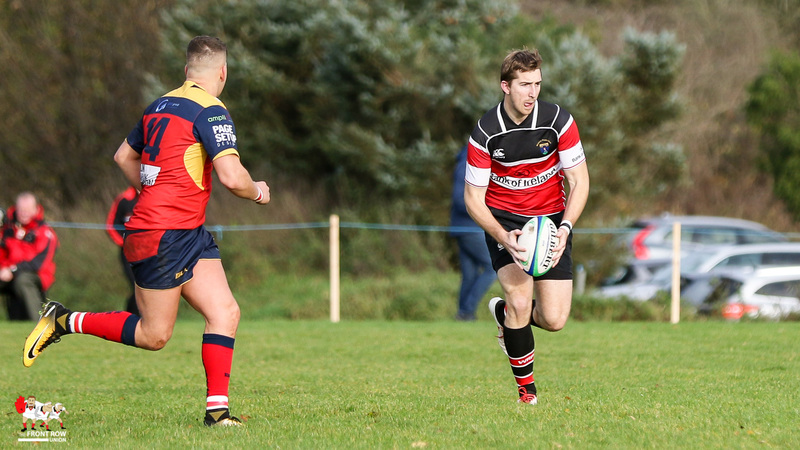 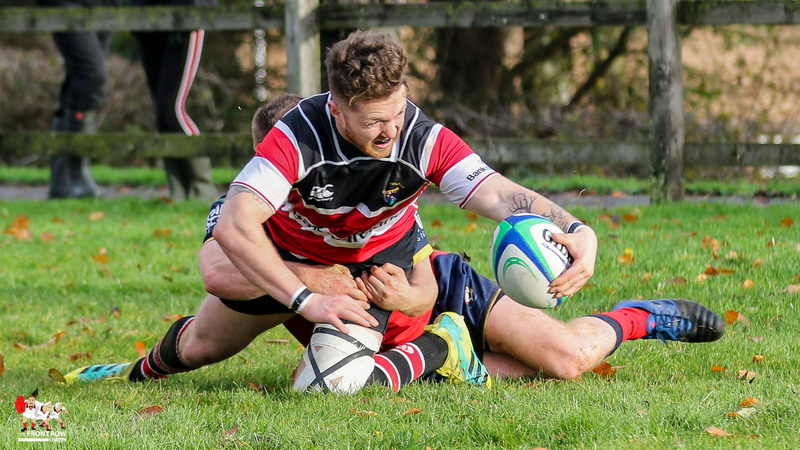 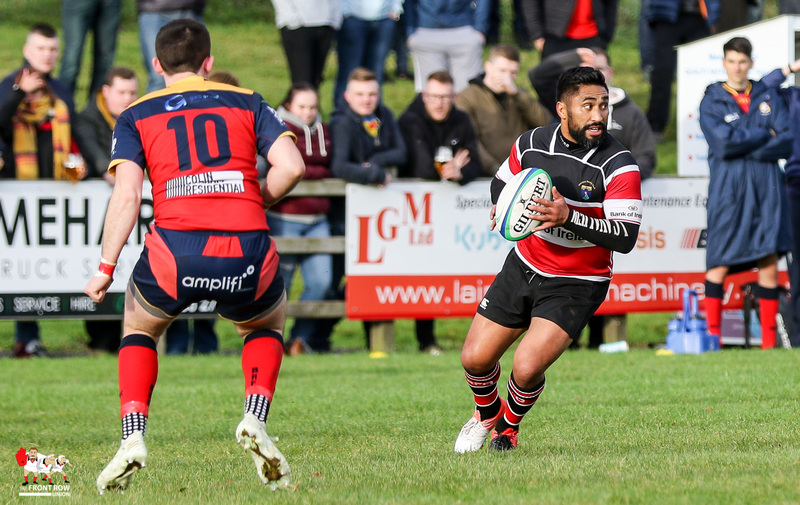 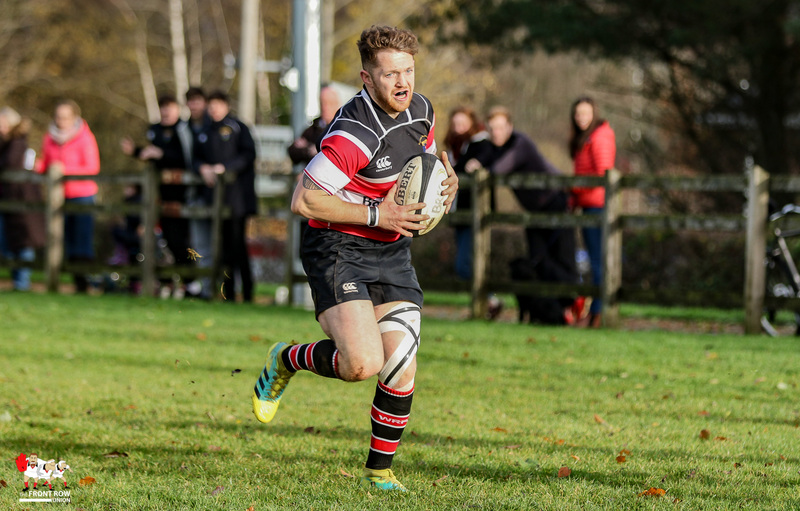 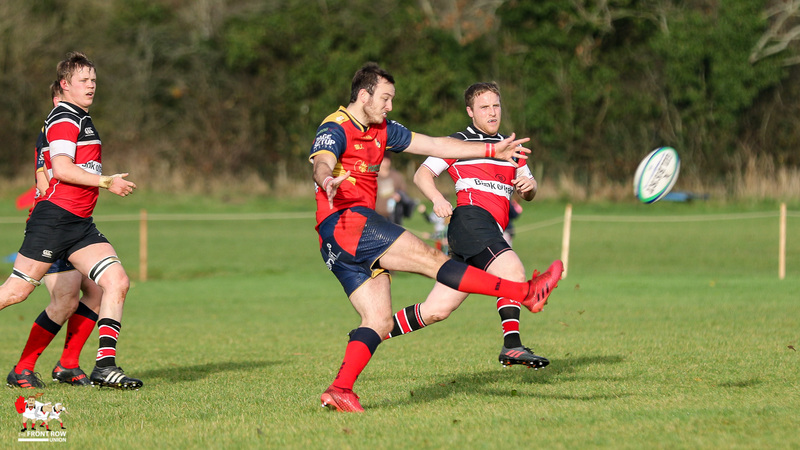 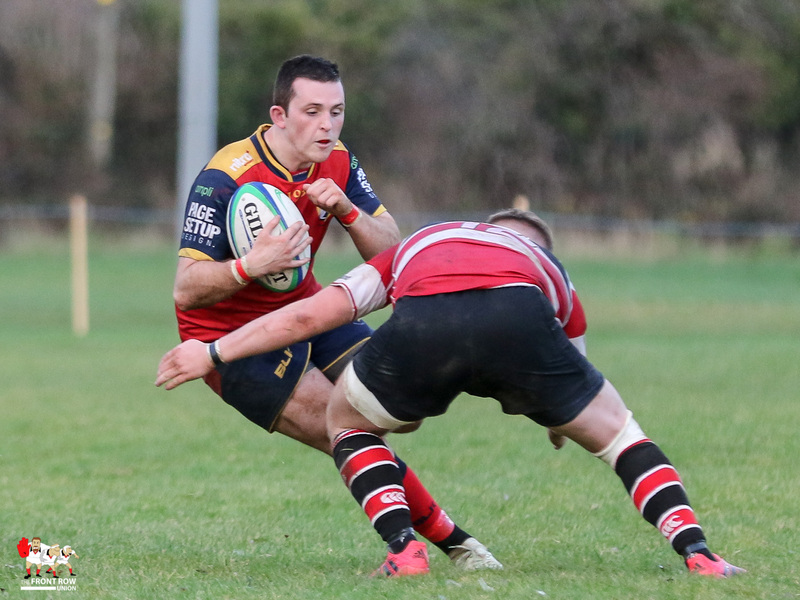 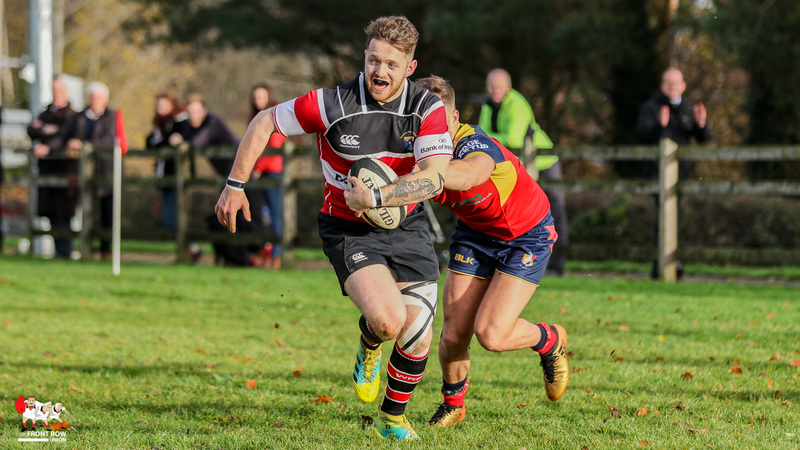 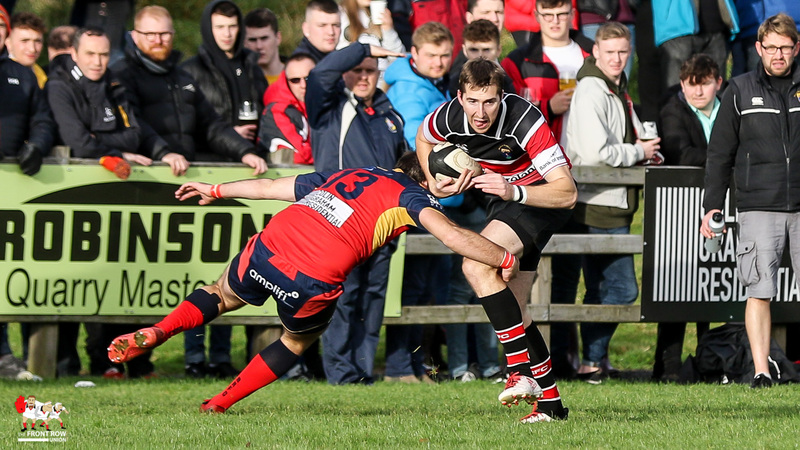 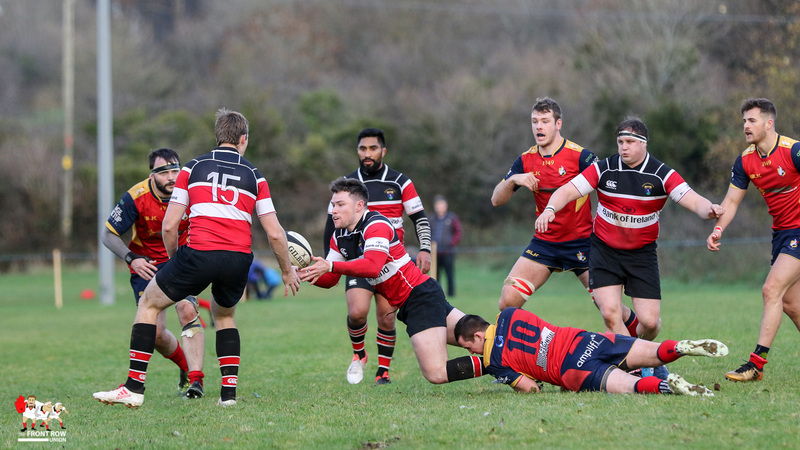 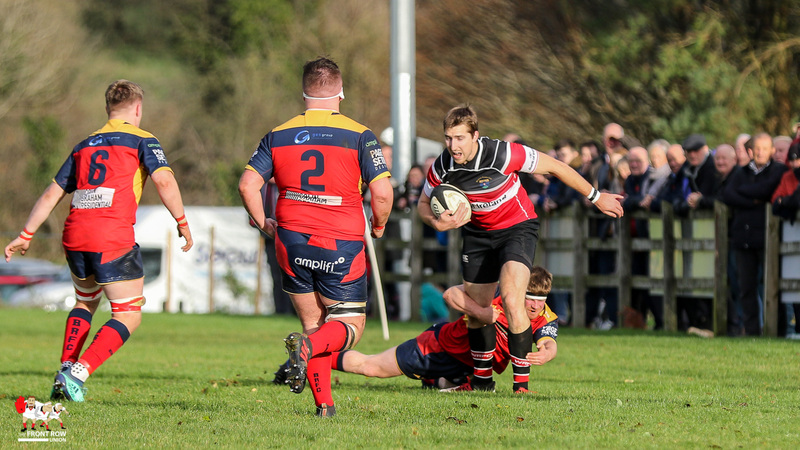 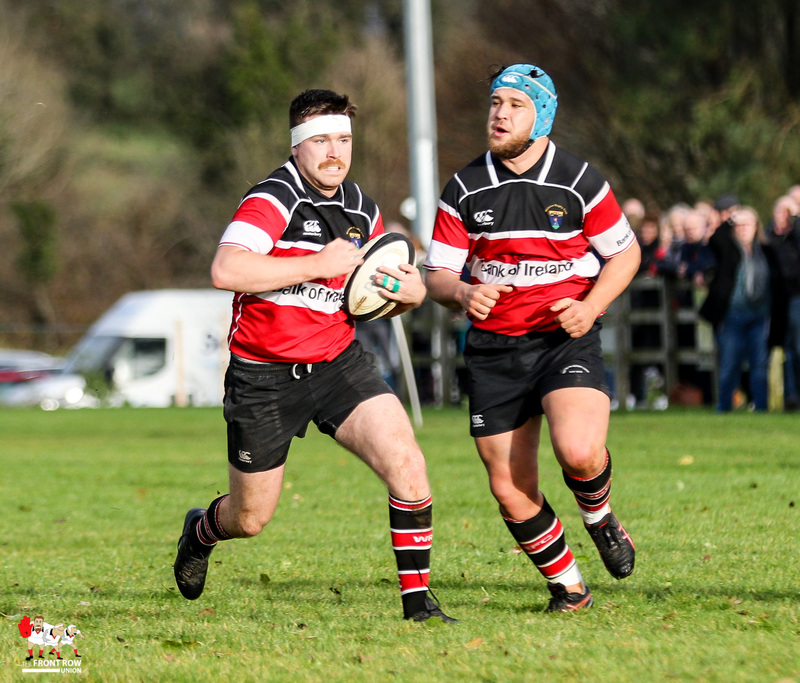 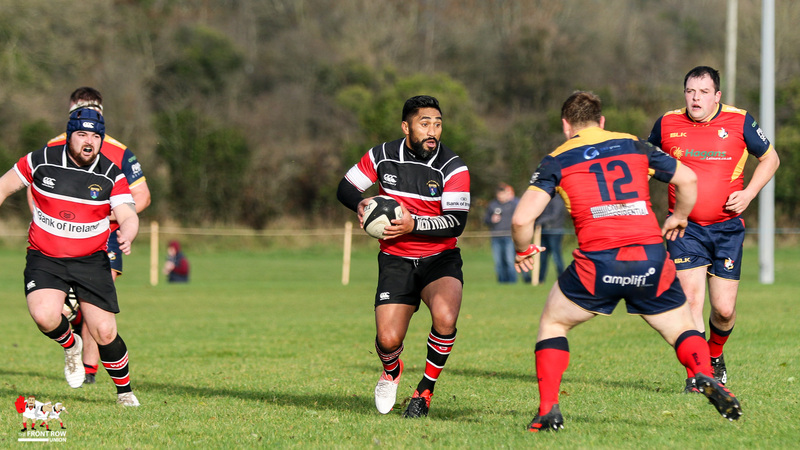 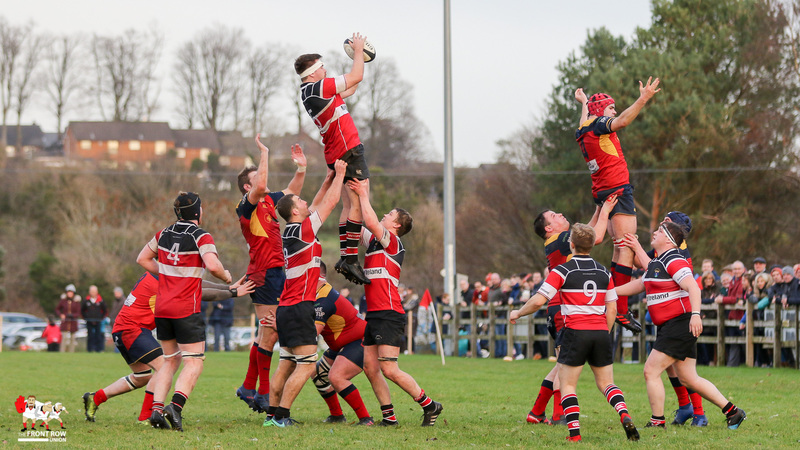 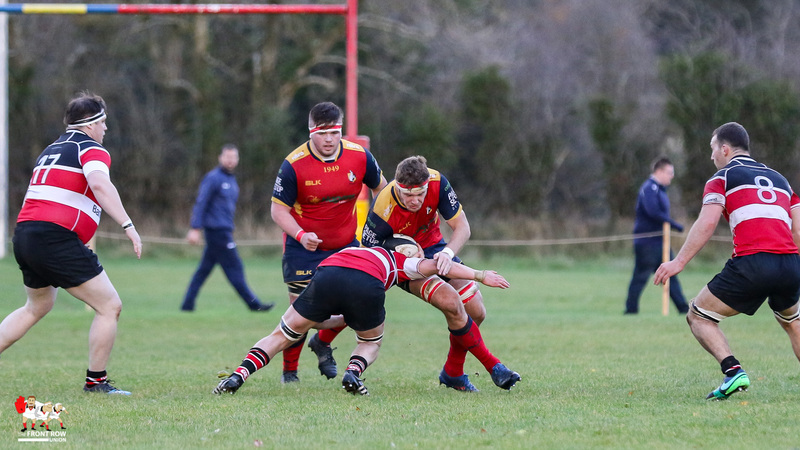 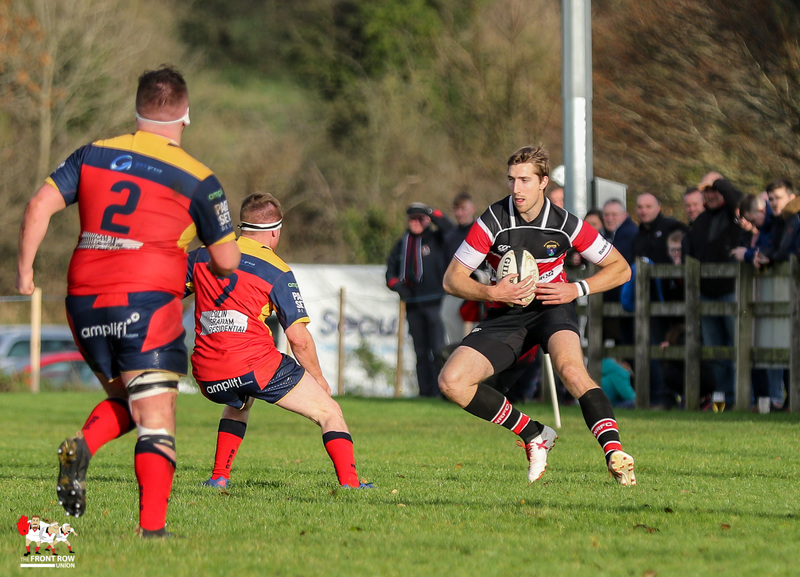 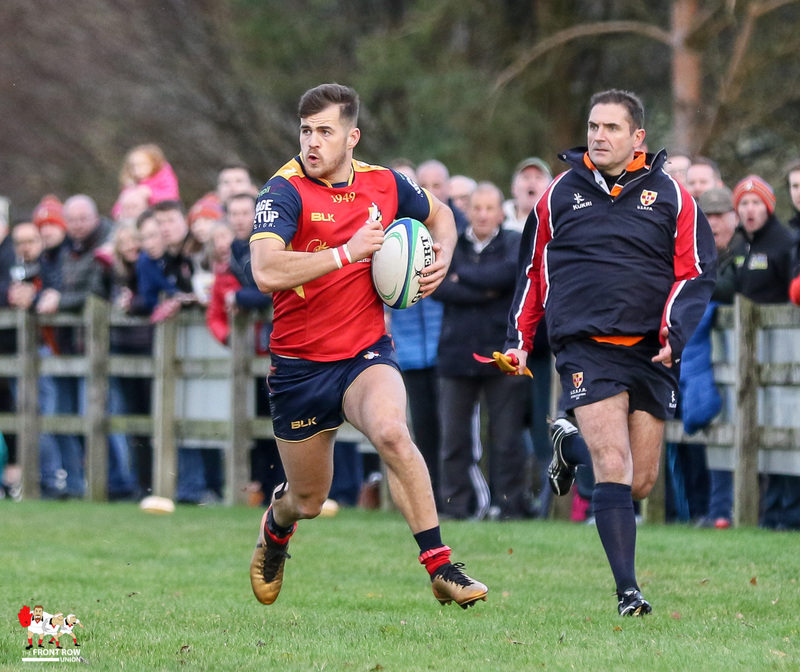 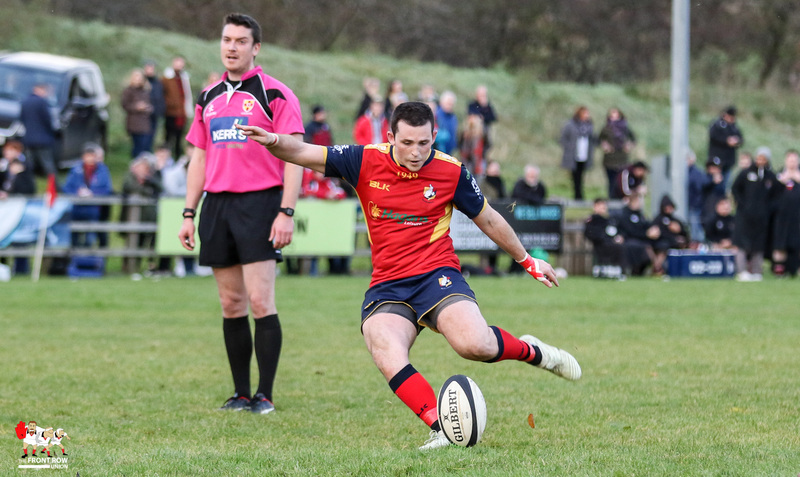 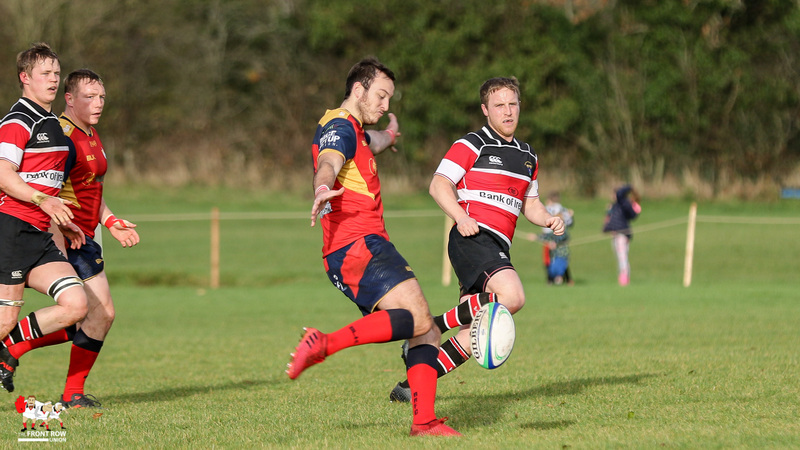 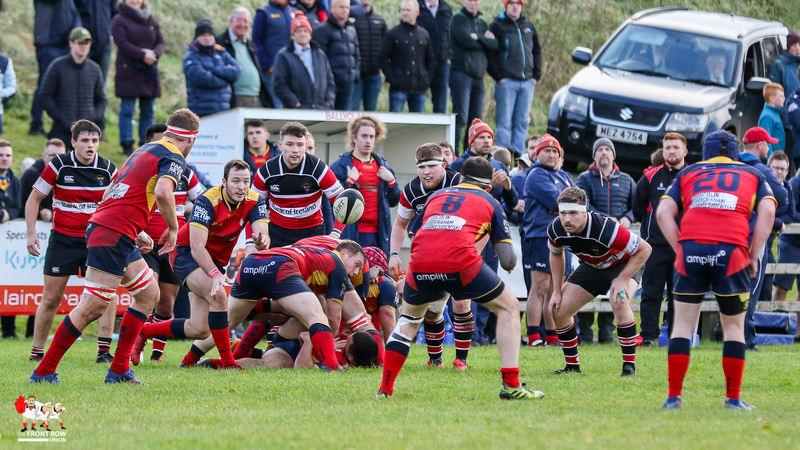 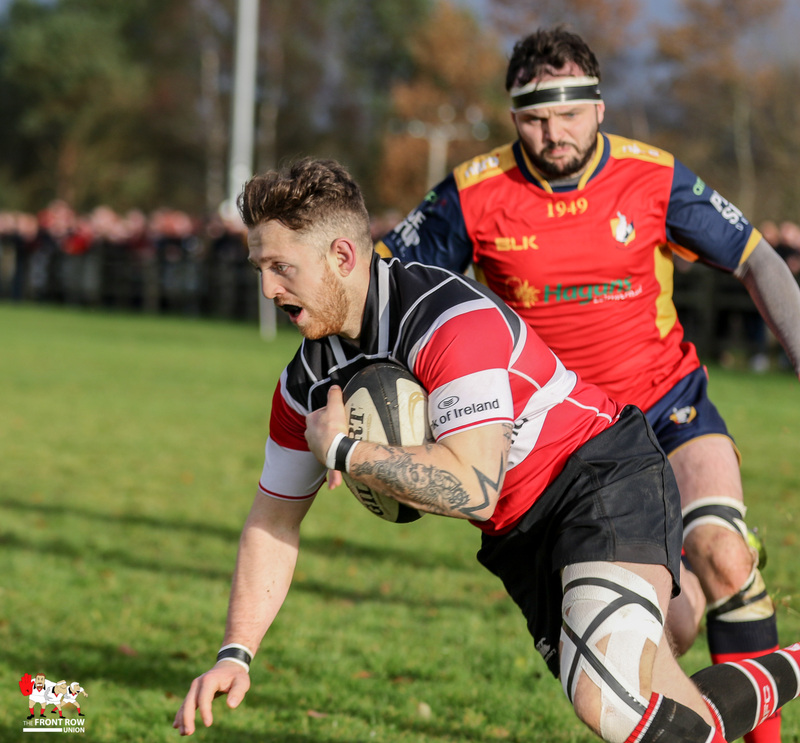 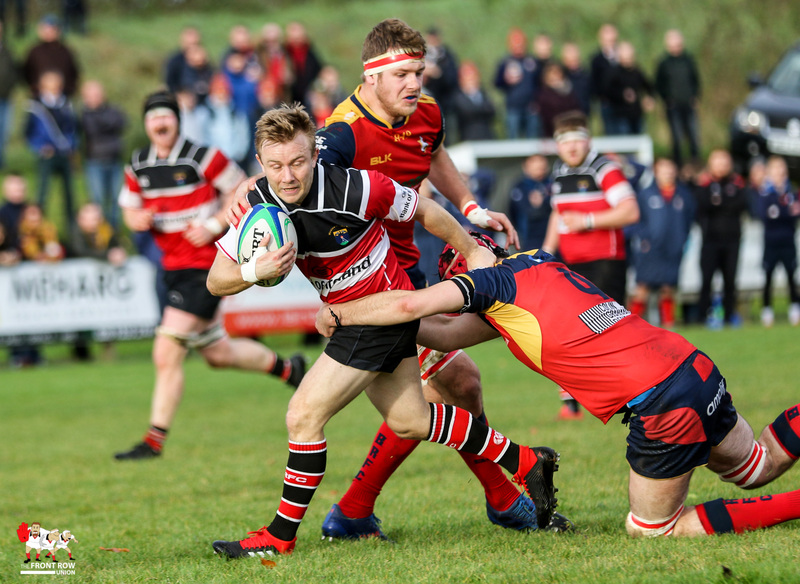 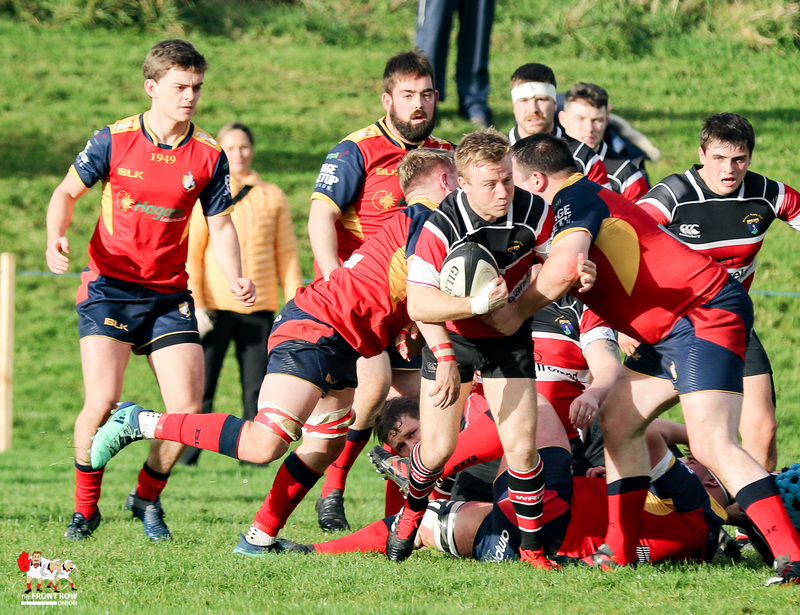 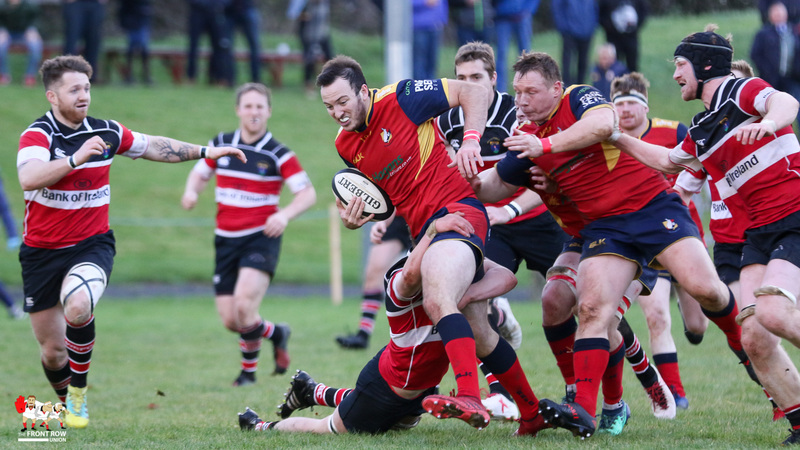 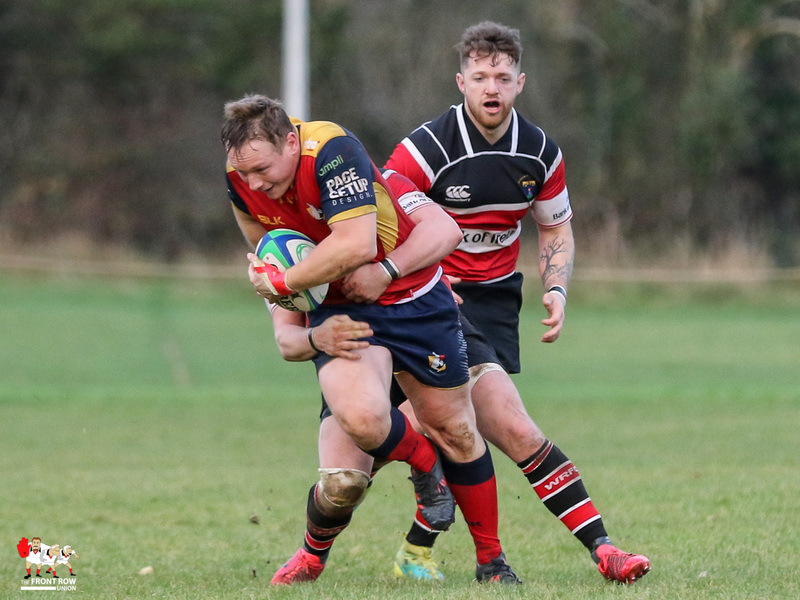 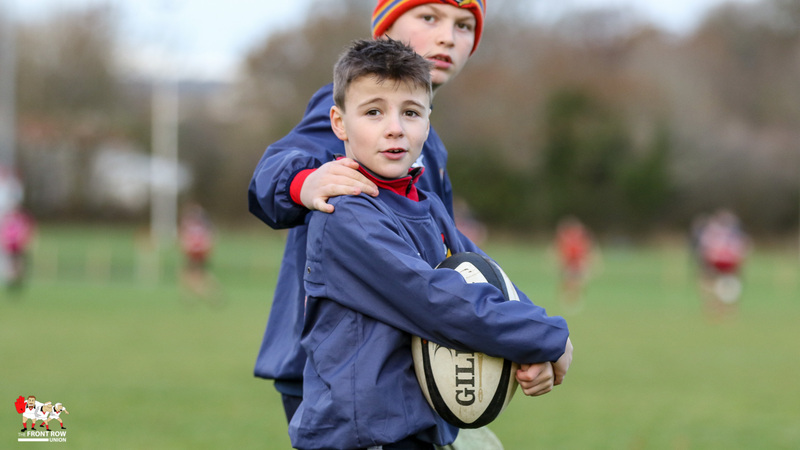 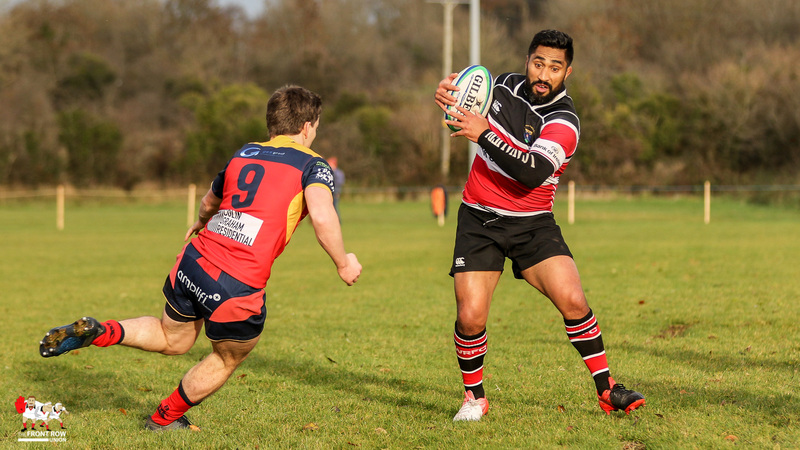 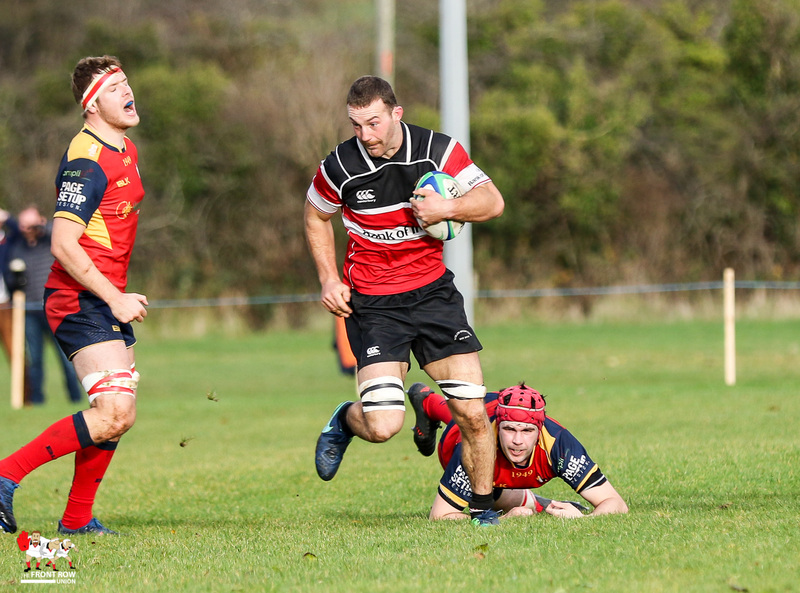 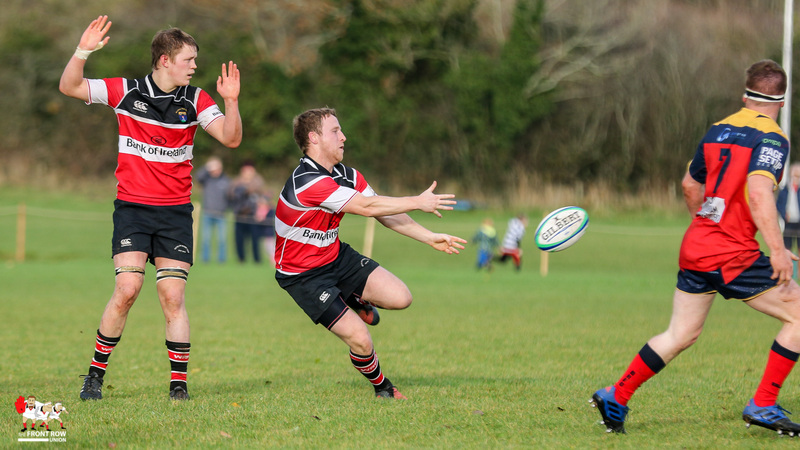 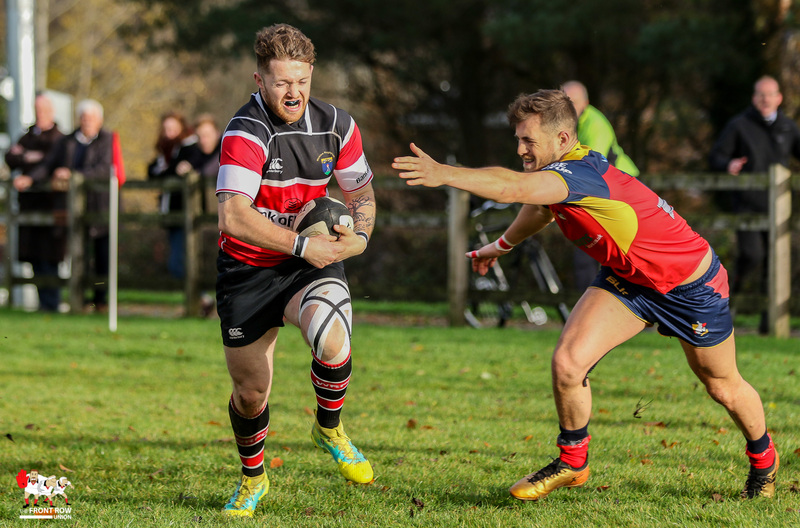 Ballyclare hosted Wicklow on Saturday 11th Noevember. 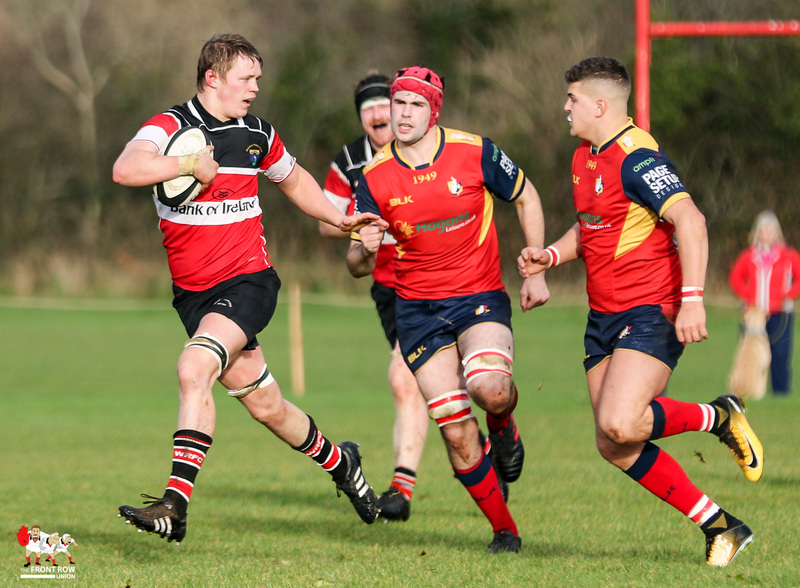 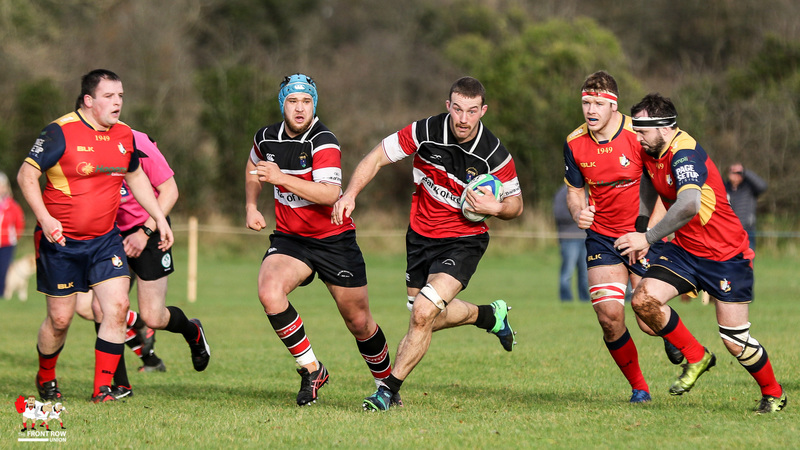 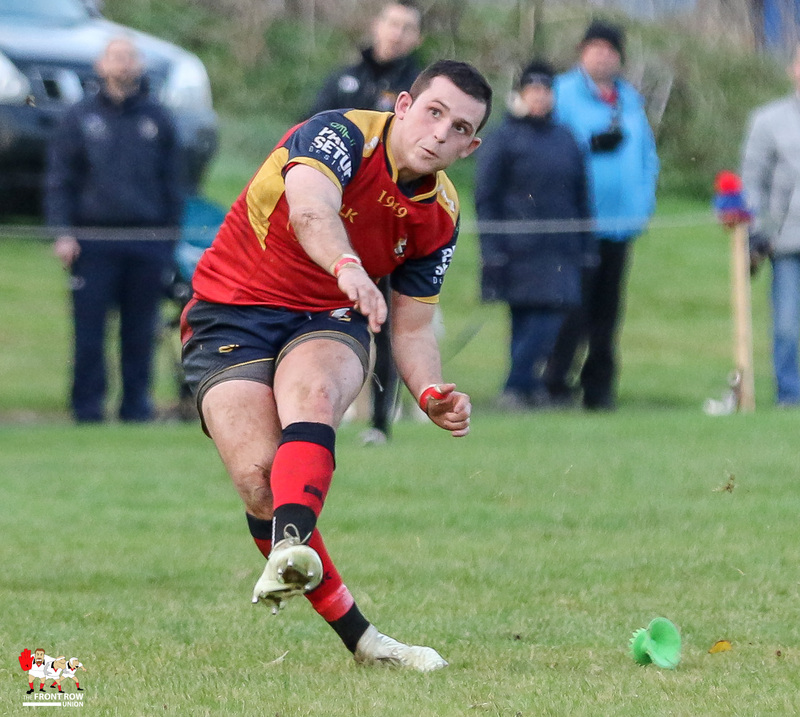 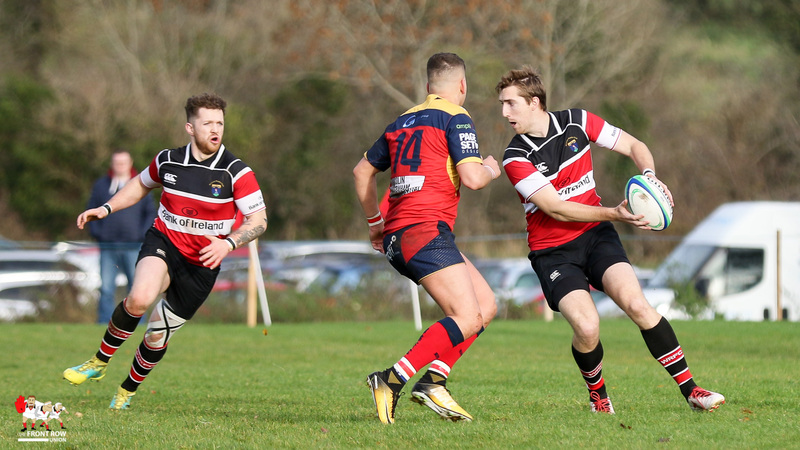 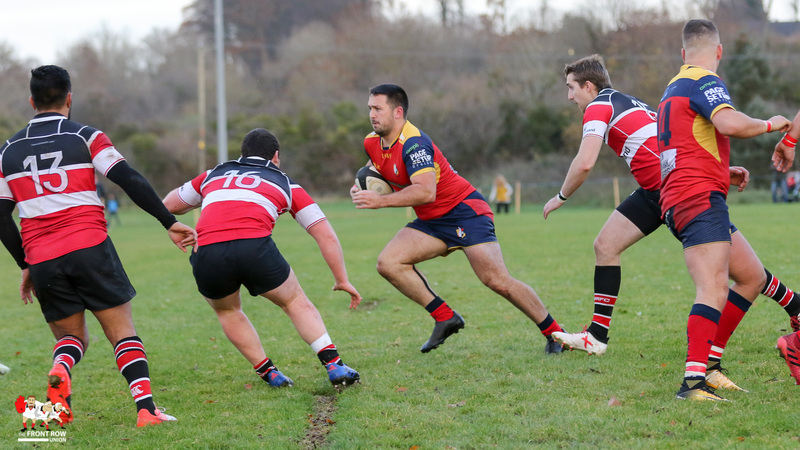 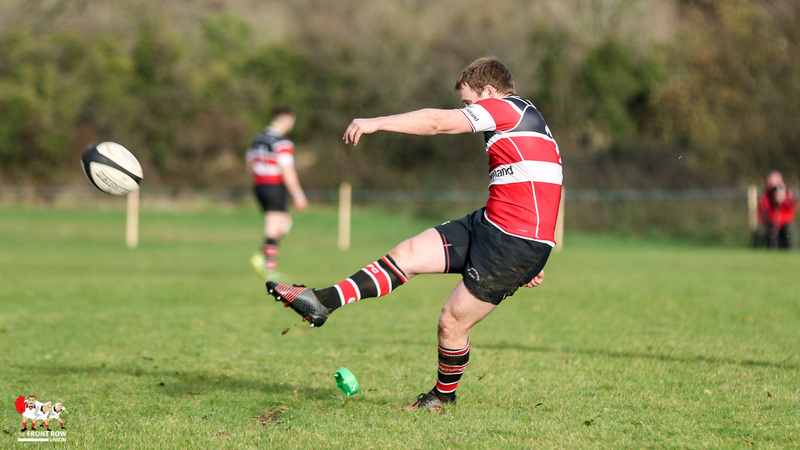 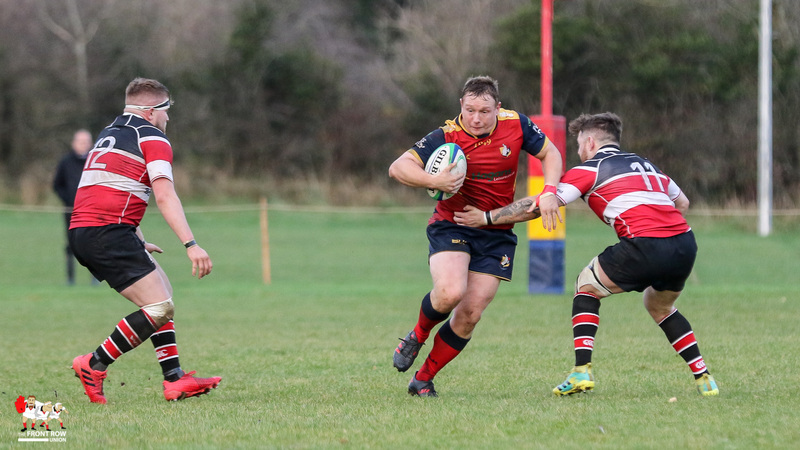 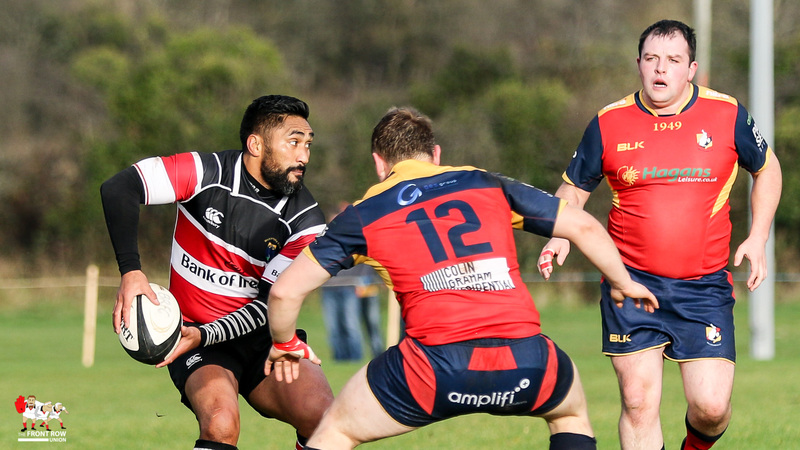 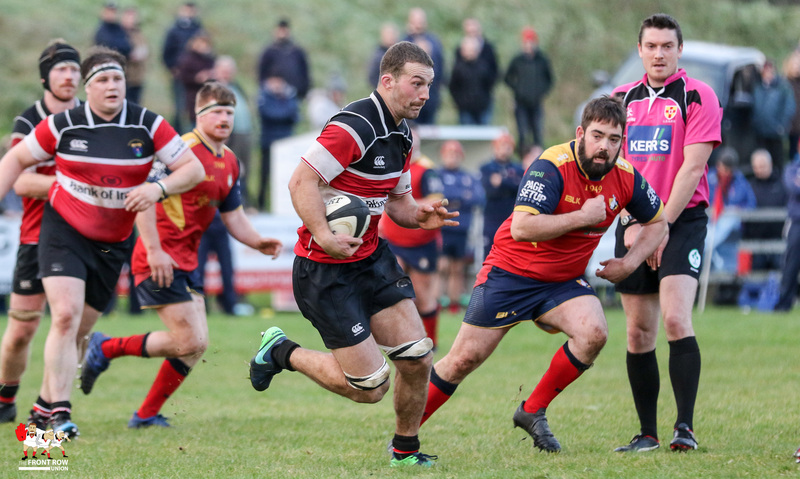 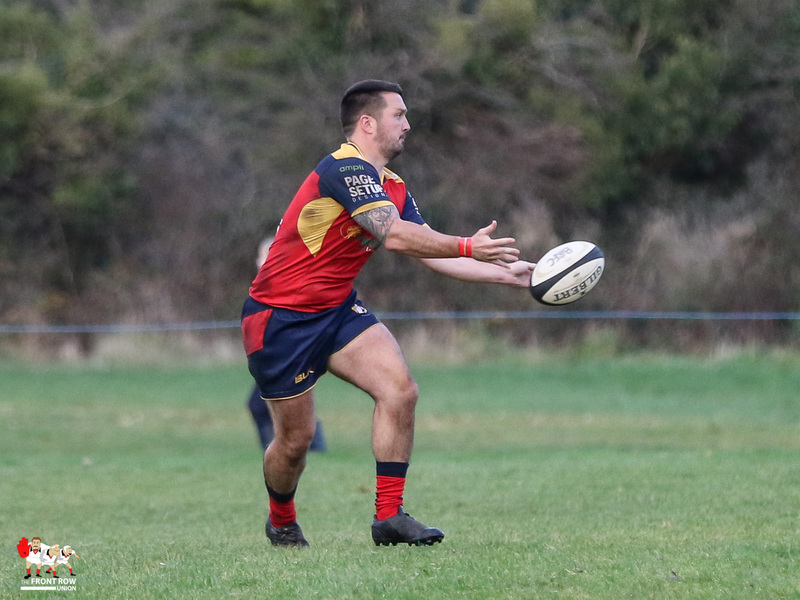 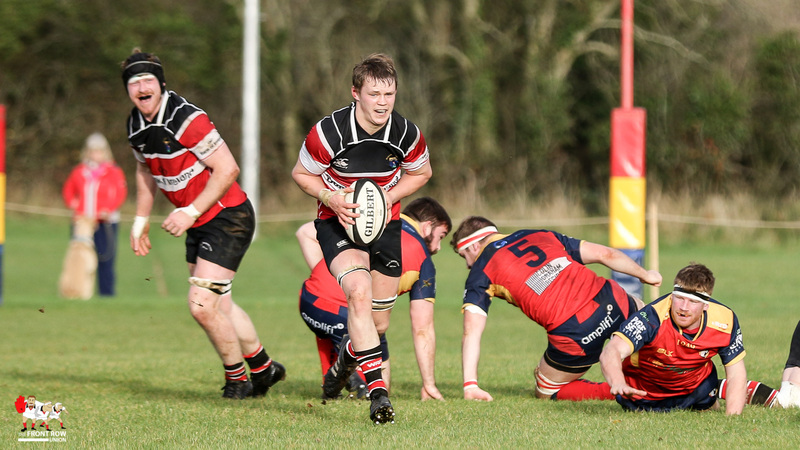 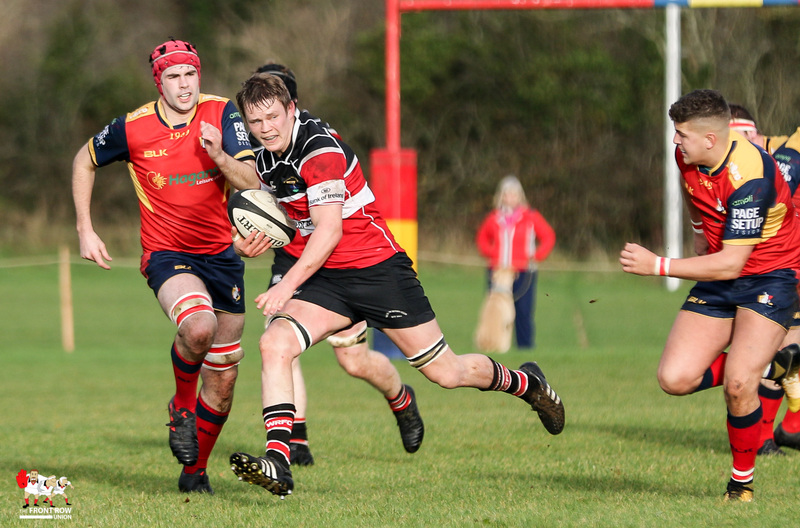 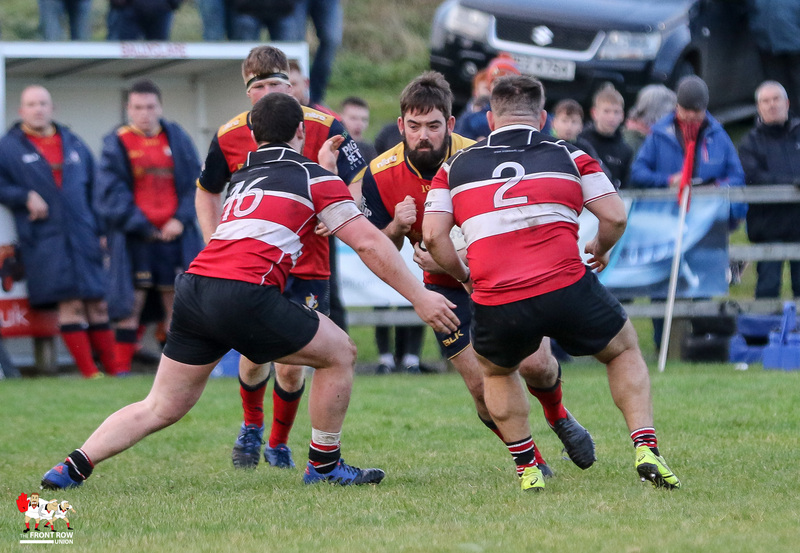 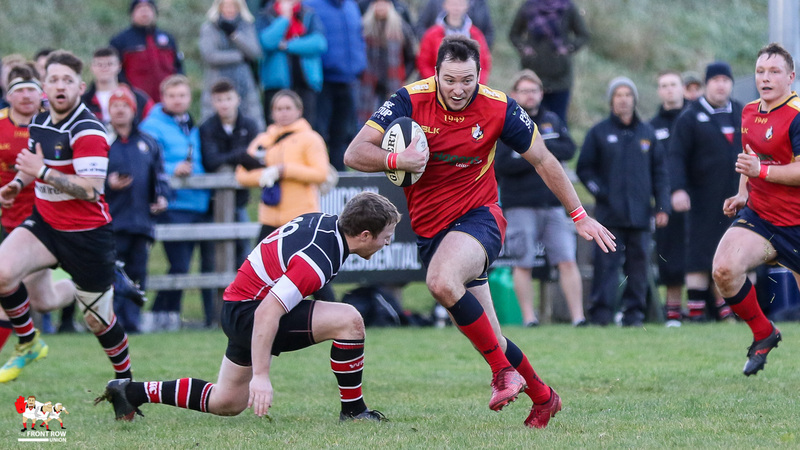 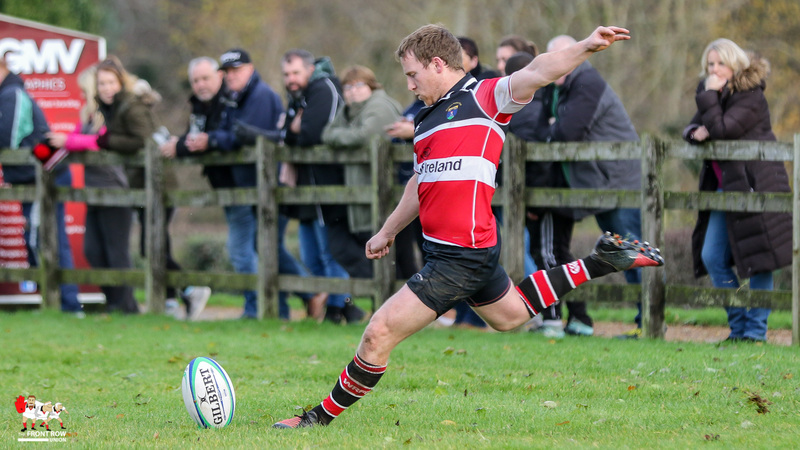 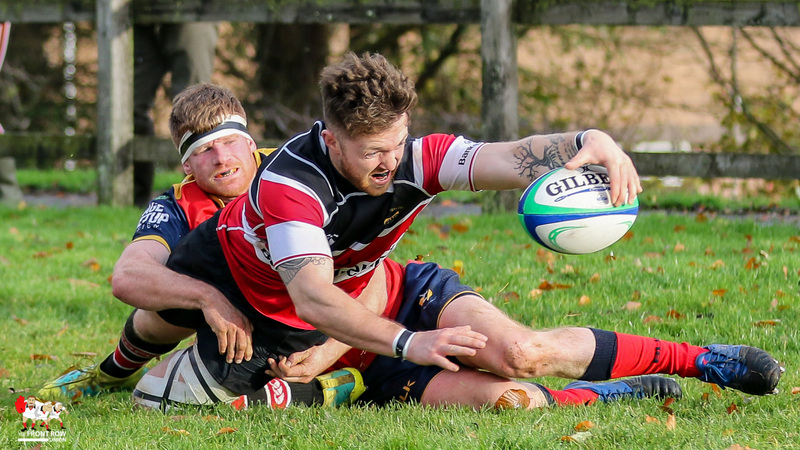 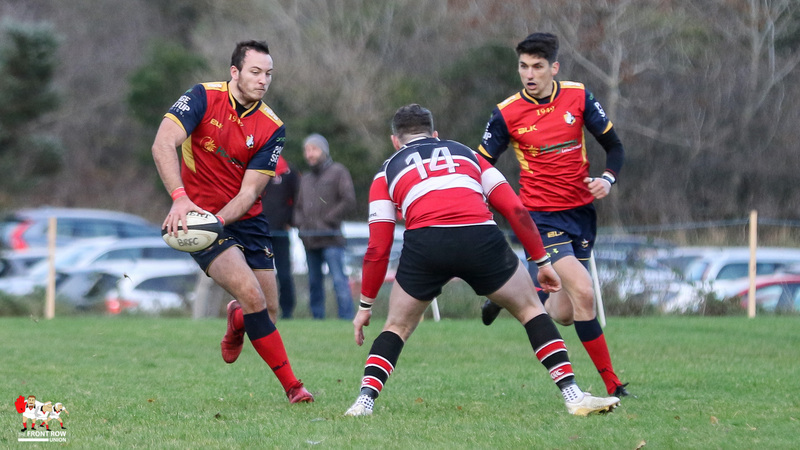 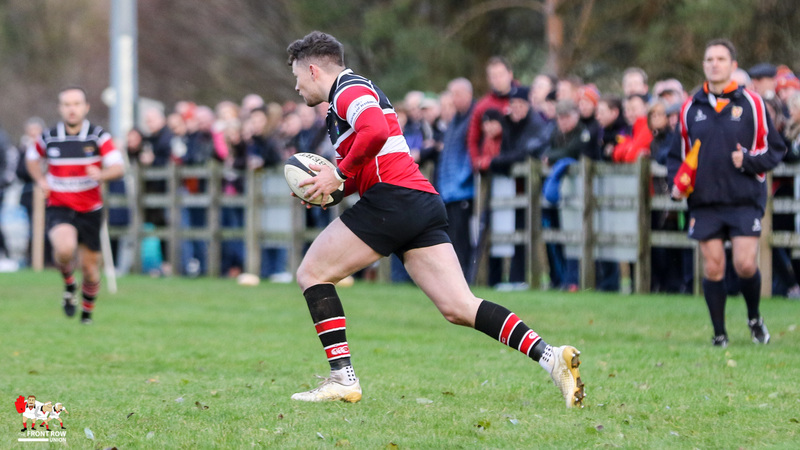 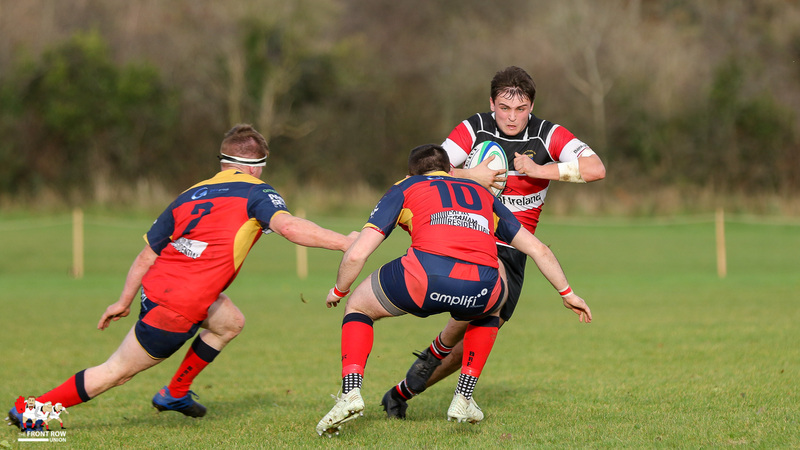 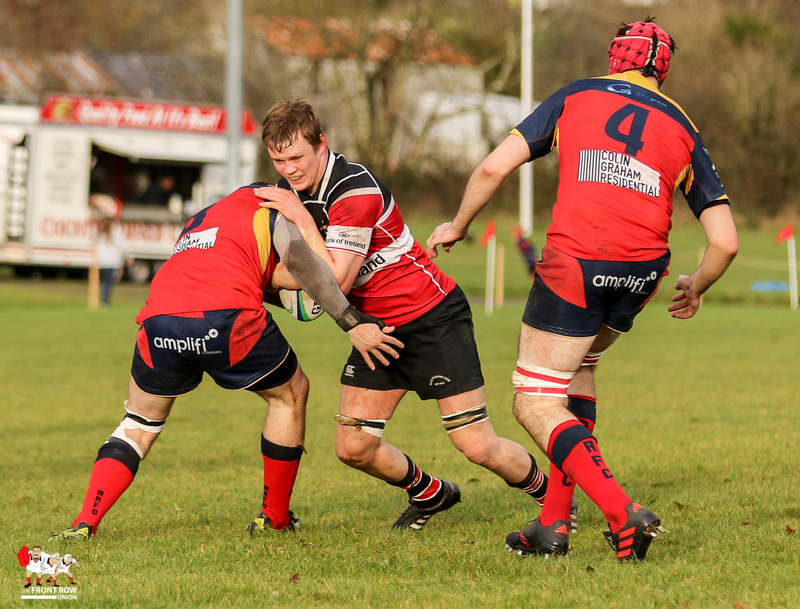 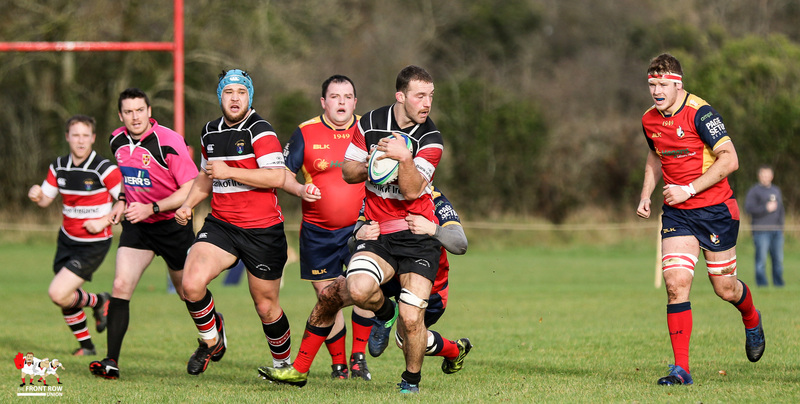 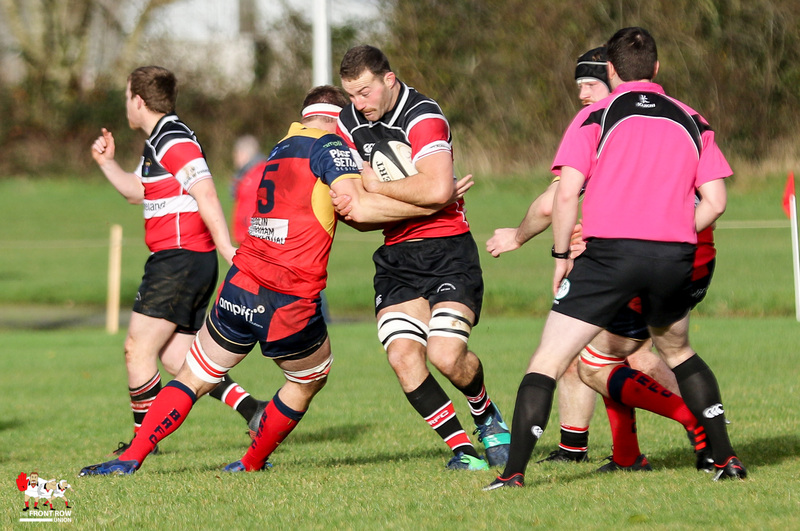 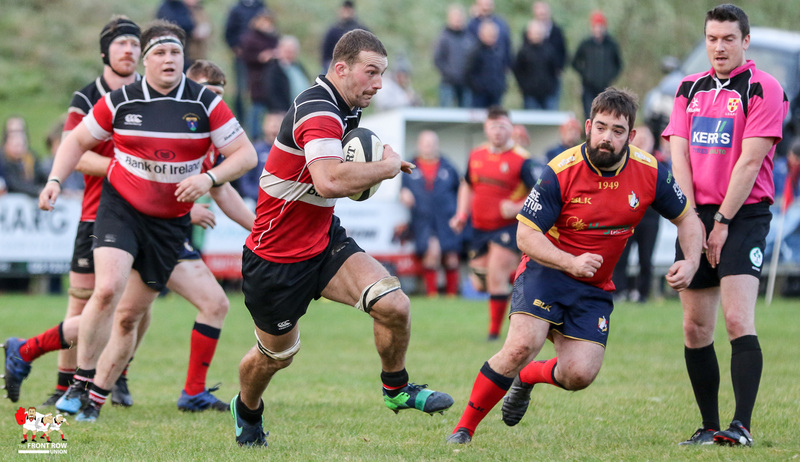 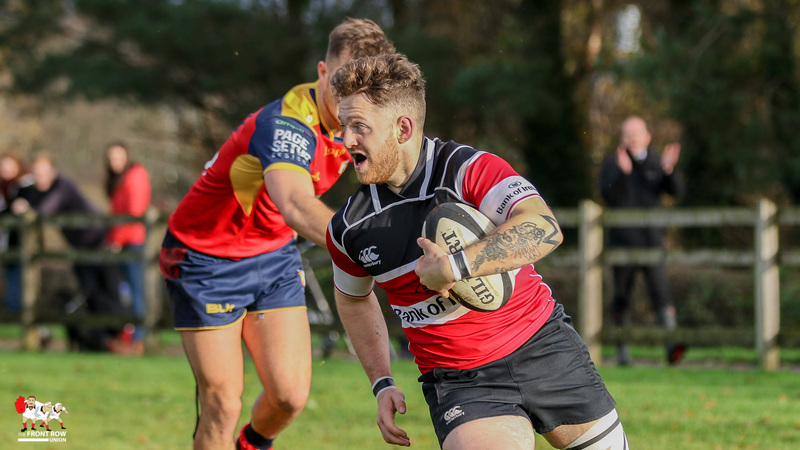 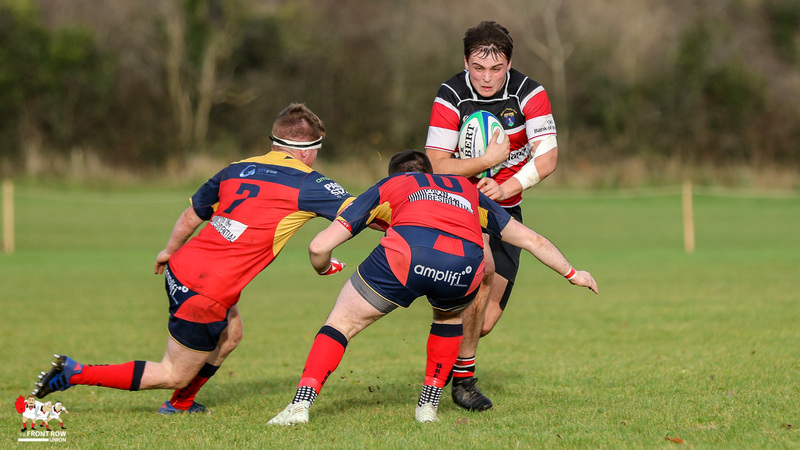 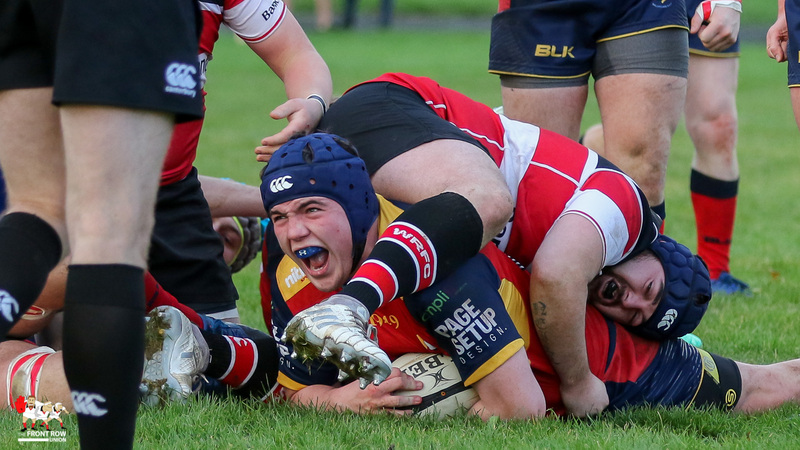 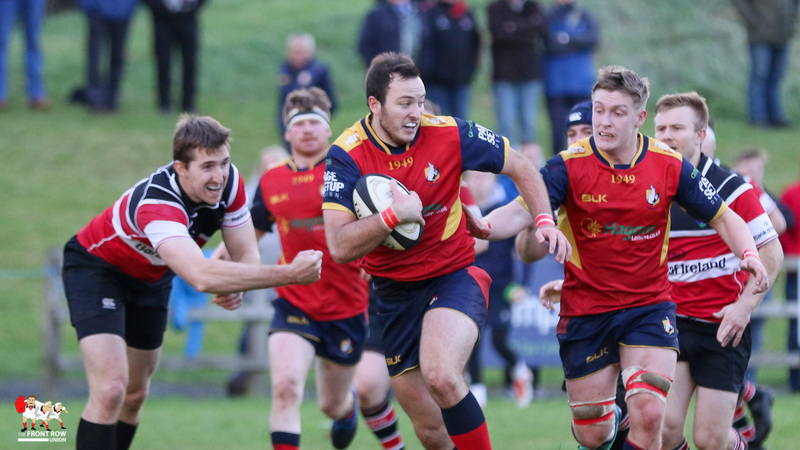 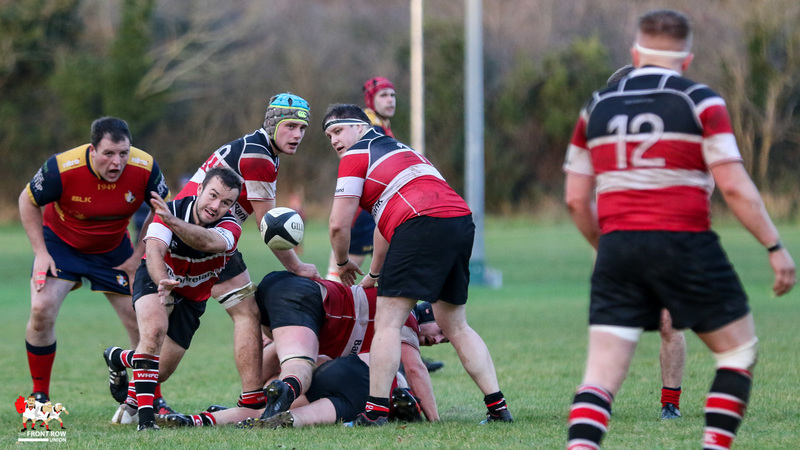 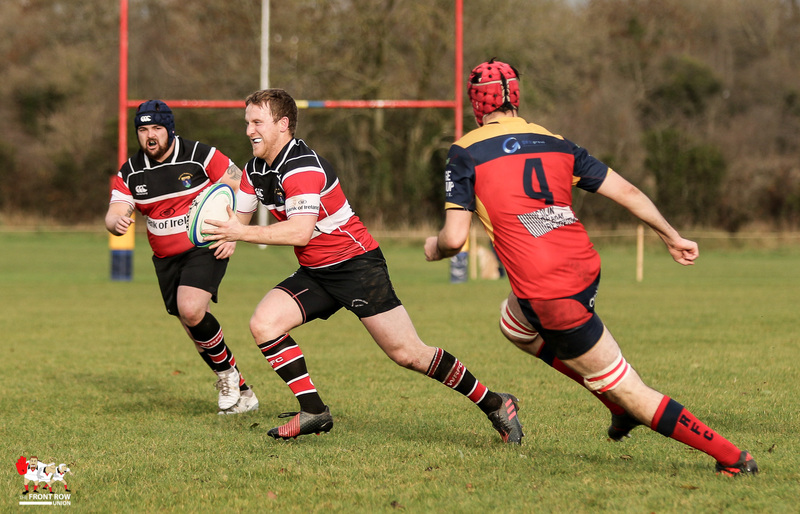 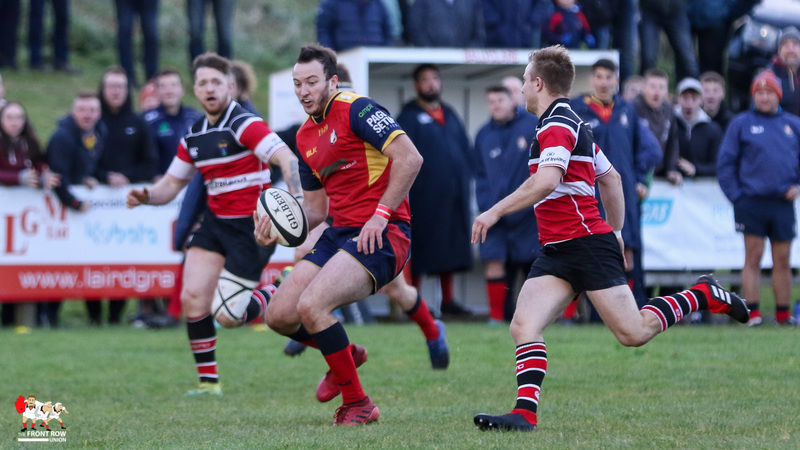 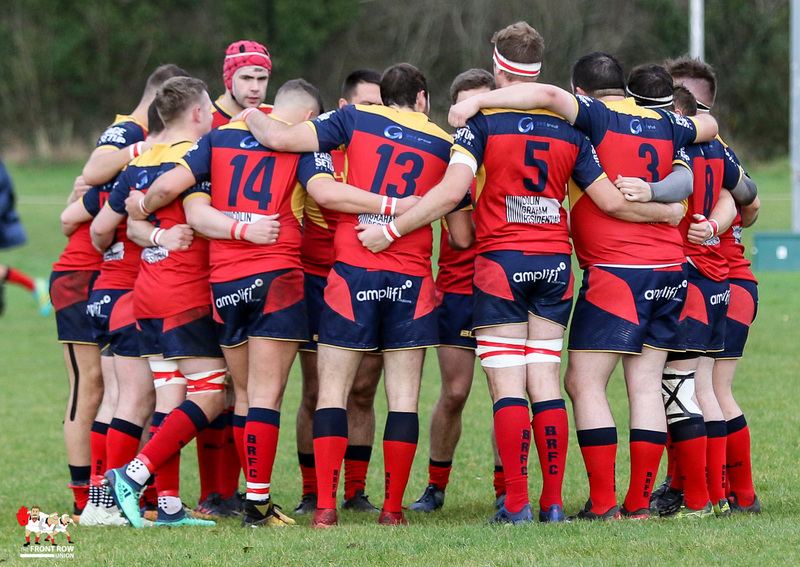 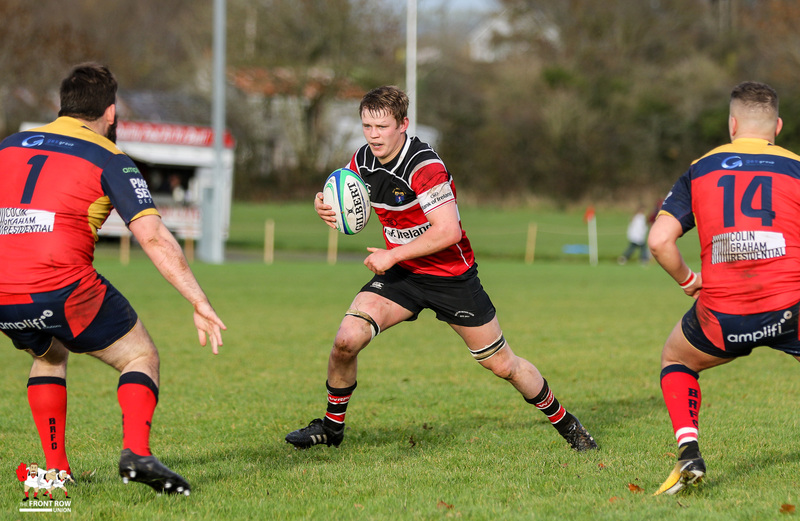 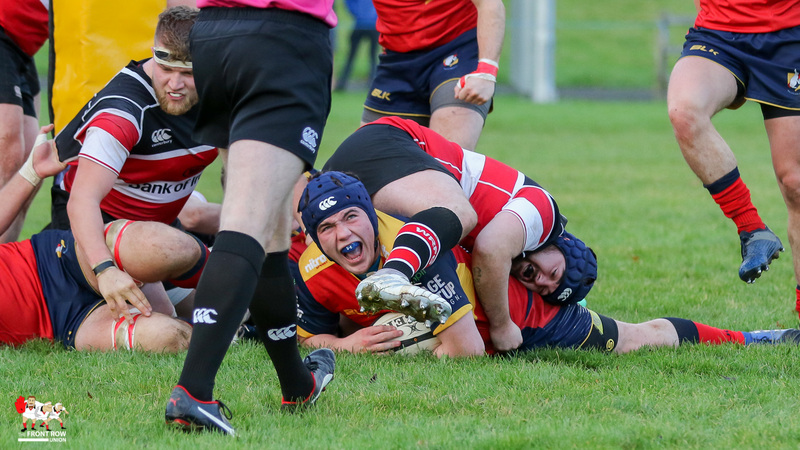 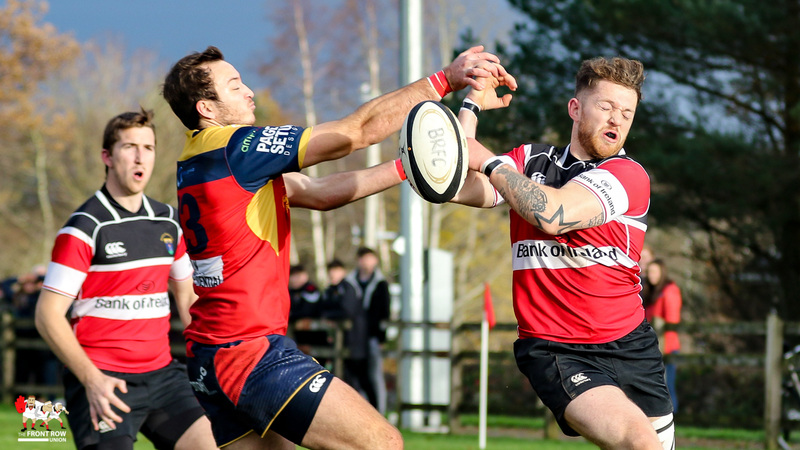 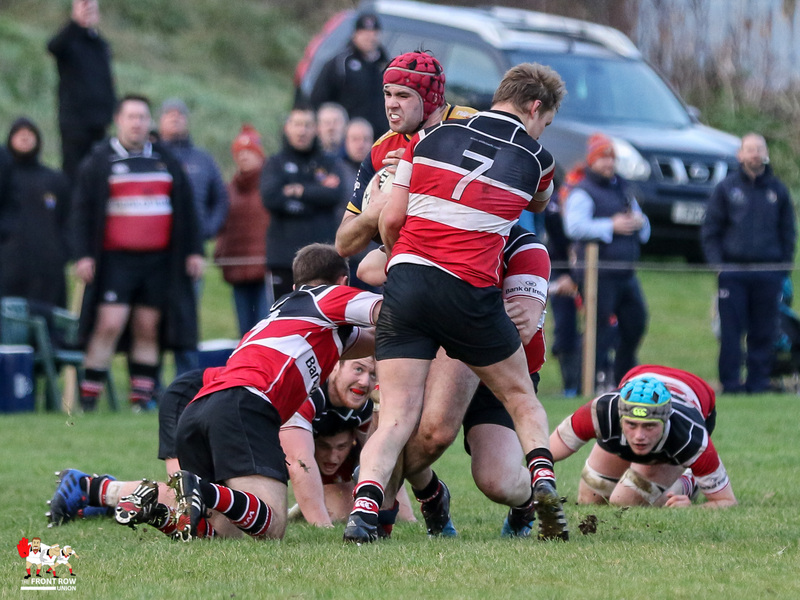 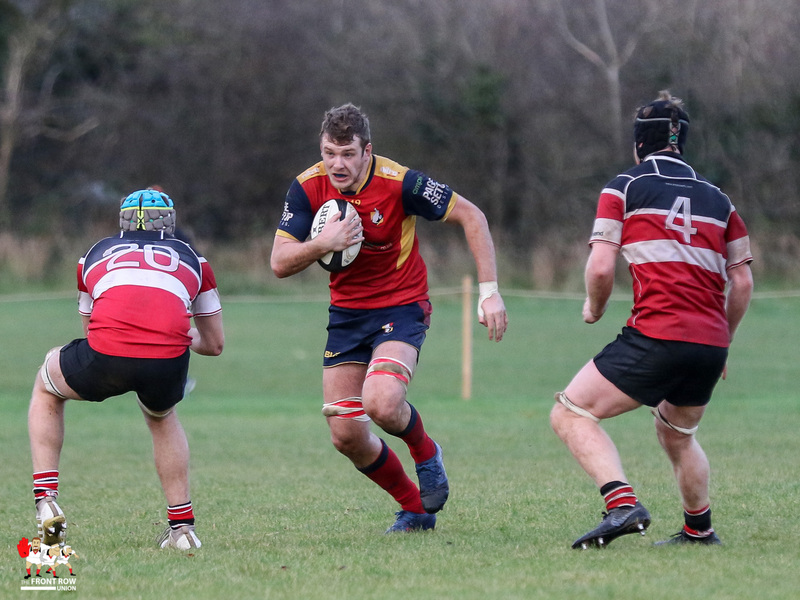 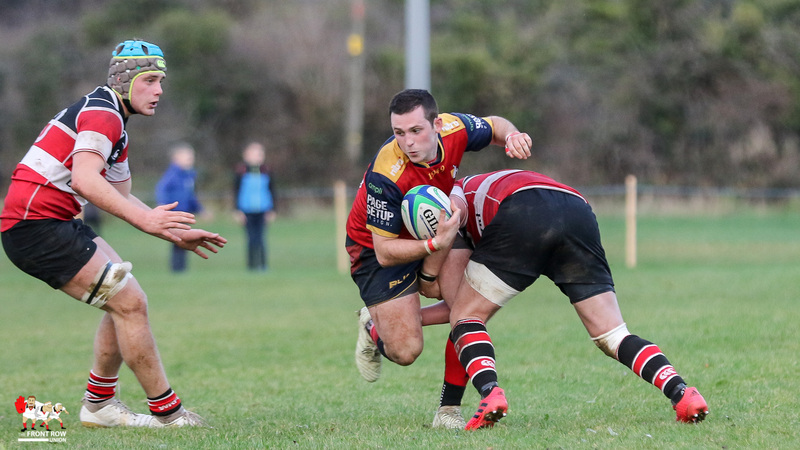 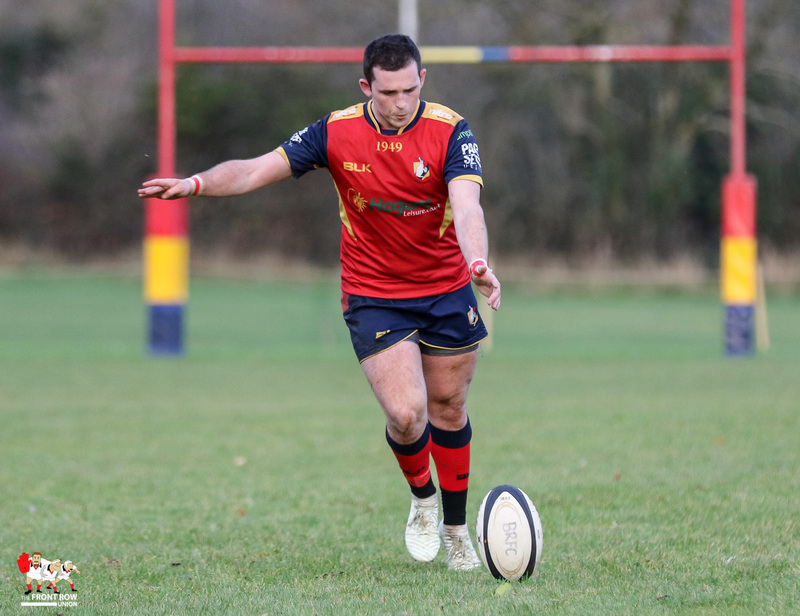 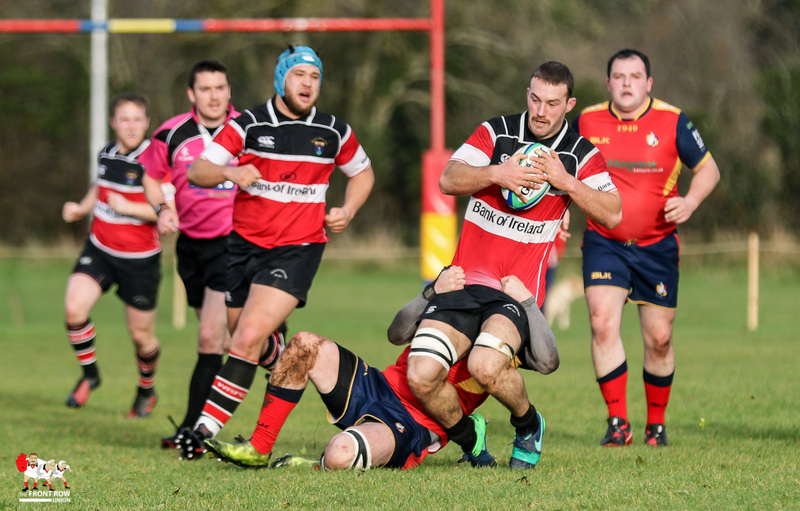 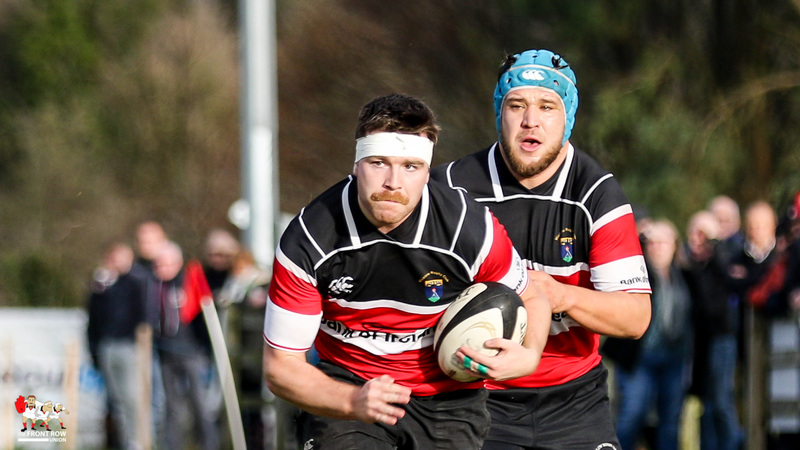 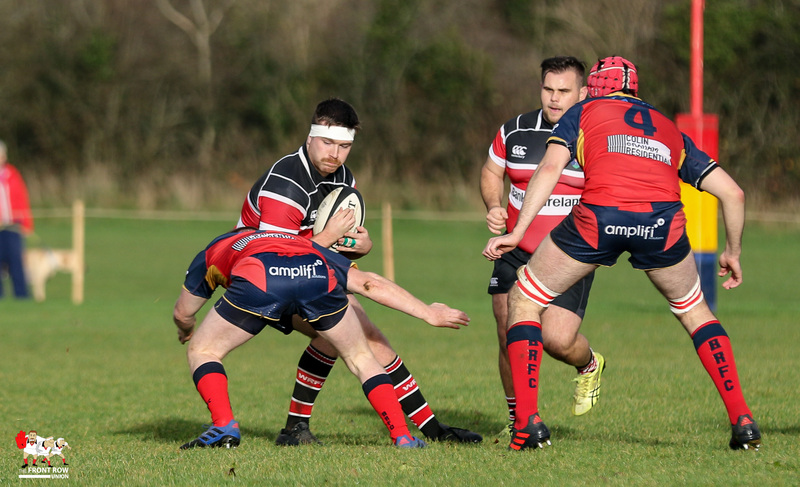 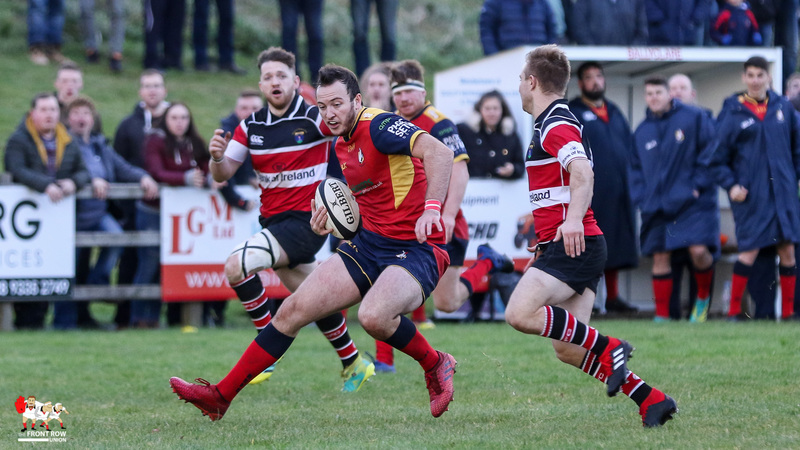 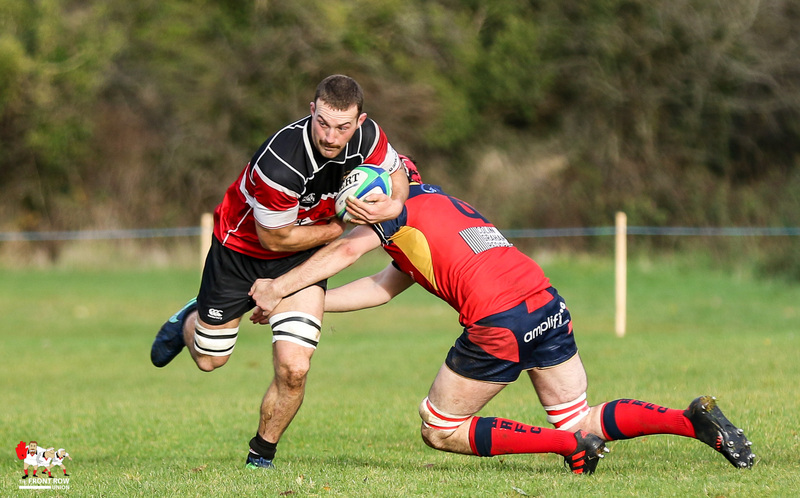 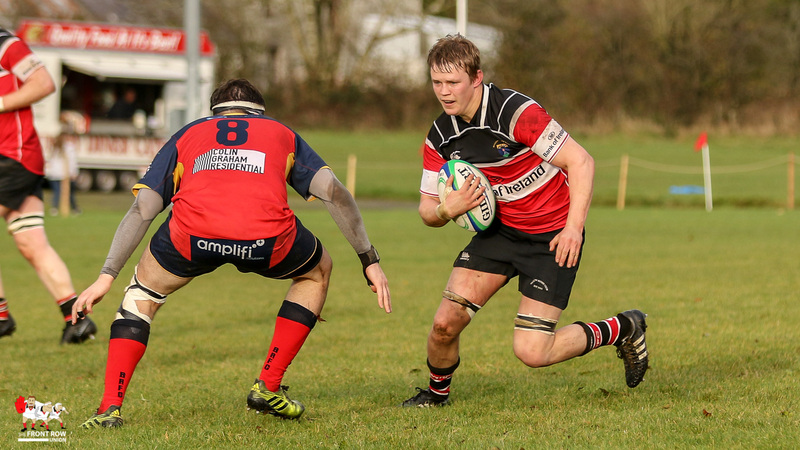 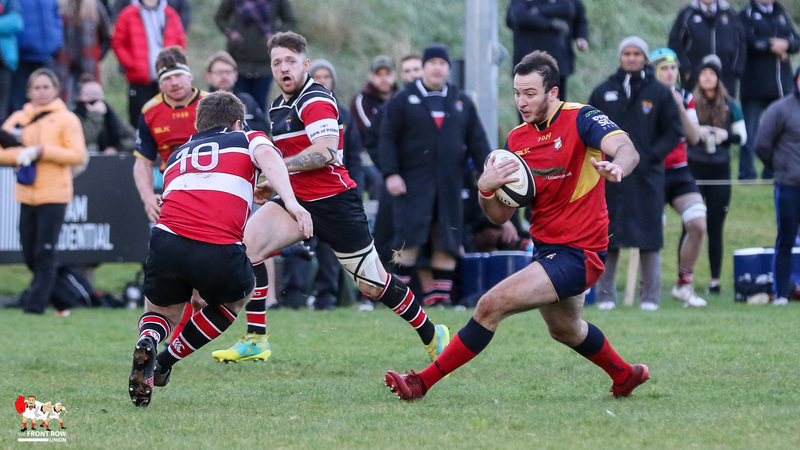 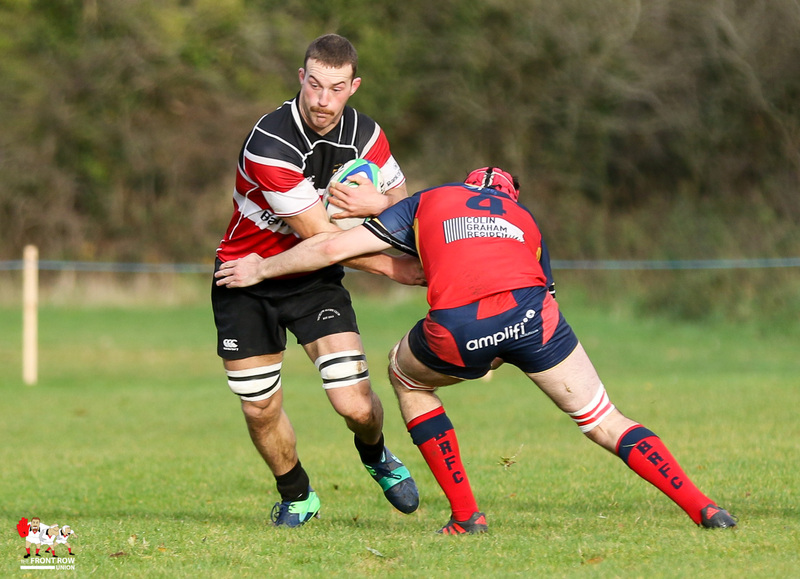 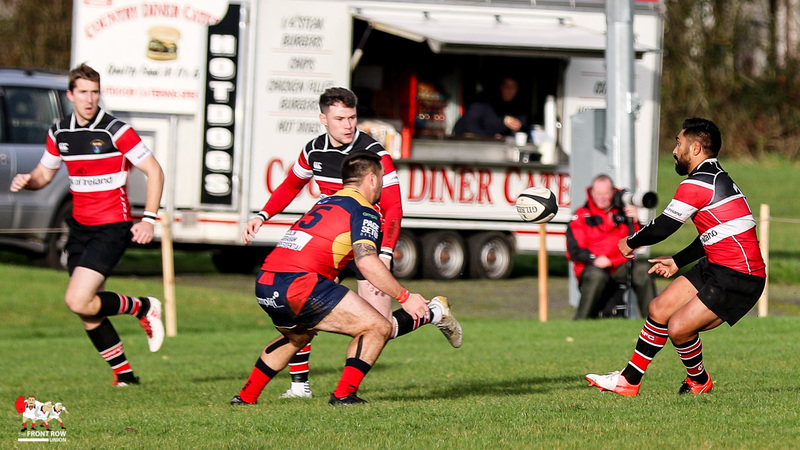 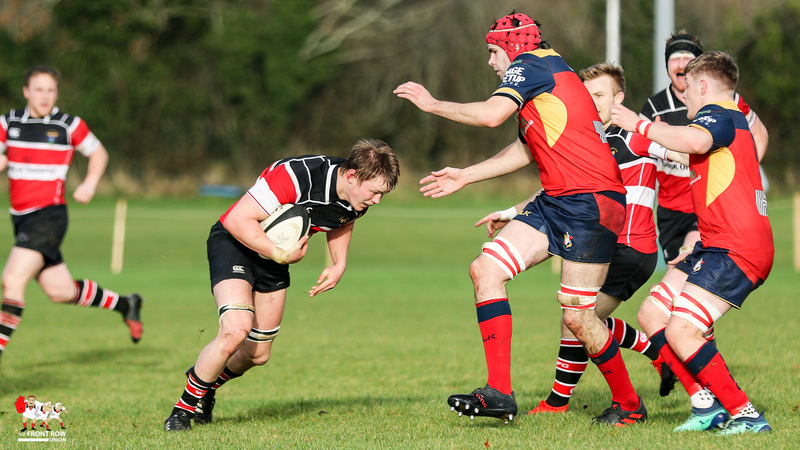 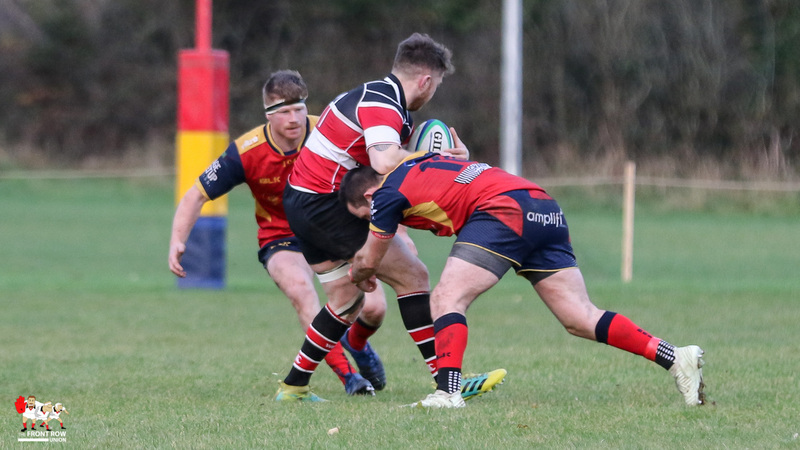 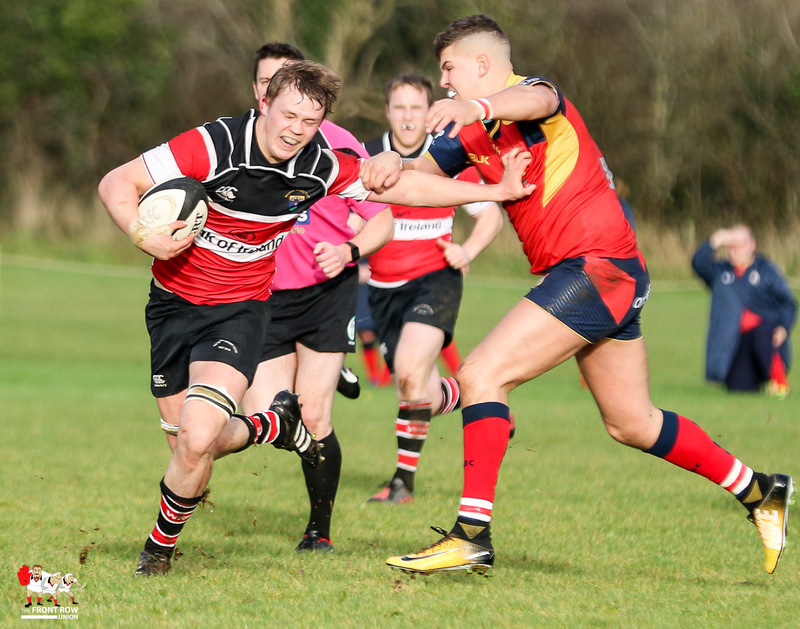 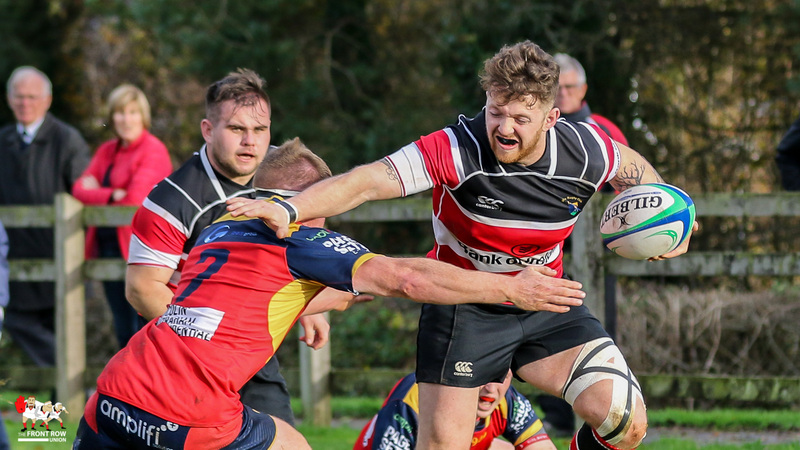 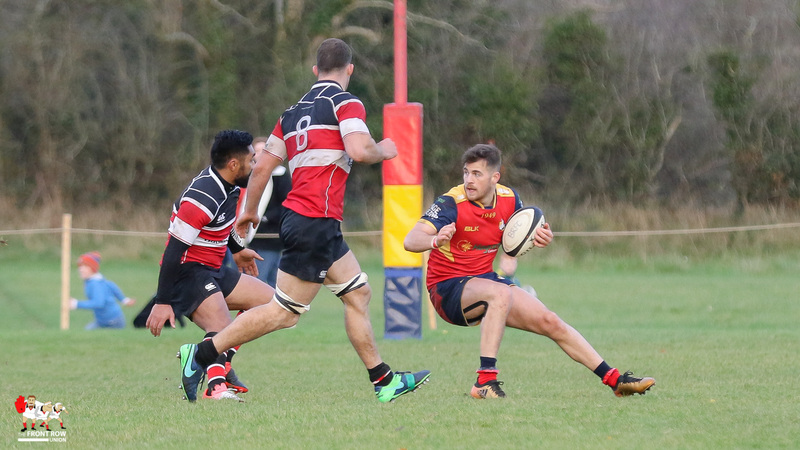 The visitors won 28 points to 20 to go through to the semi finals of the All Ireland Junior Cup.